If you had signed in to receive Indian By Design posts as they are published, you probably just received a whole lot of updates for posts that were unfinished. I was changing a few settings and some of my older draft posts published as a result. They have been returned to the draft folder and will not be visible on the actual blog now. I apologise for the inconvenience and confusion. Thank you. Hug. 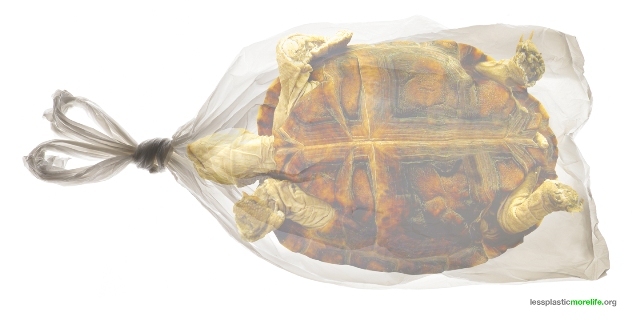 In our daily lives, what objects do we reach out to and why – the ease of use vs the ease of care, perceived value of longevity vs the beauty of wear and tear, a juggling of price vs cost, things we save in a closet vs things we make part of our lives, Cotton vs Polyester, plastic vs wood – will it last long, will it stain, will it be worth it? These decisions often affect our buying decisions and ultimately what we surround ourselves with in our messy everyday tasks. There is much beauty in not saving the lovely things for a special day. Presenting a selection of products to enjoy using without holding them as being too precious to be a daily habit. Gaatha Shop – Everything that we do becomes tradition. So in that sense, it isn’t a fixed entity, rather an evolving one. And while, to grow and progress, we must continue to adapt and create new traditions, documenting what has been is a essential step in understanding the essence of that progress. The Gaatha project has been documenting Indian craft traditions and sharing it on the Gaatha blog creating a rich resource for all to benefit from. They’ve now gone a step further and started the Gaatha Shop which completes the story by offering those who appreciate crafts the opportunity to bring them into their daily lives. 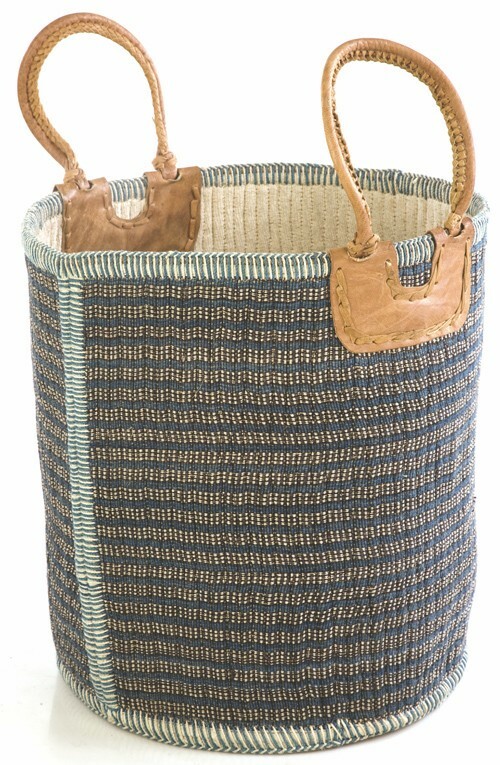 Kara Weaves – Continuing on from the thoughts expressed above, the balance between saving traditional crafts yet bringing in new design influences to keep the work contemporary has always seemed a tricky balance to achieve. 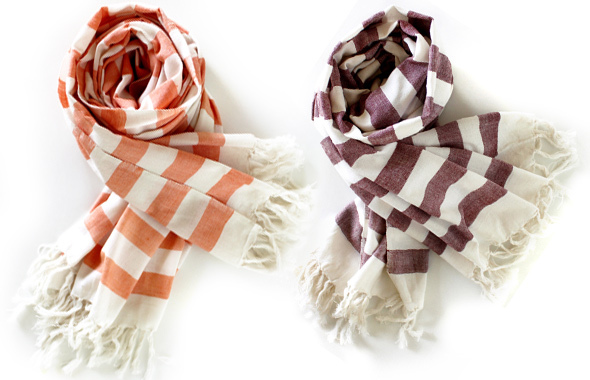 These towels seem reminiscent of Turkish hamaam towels and for me, although lovely to look at, do not externally evoke the familiar Kerala Torth I grew up using. Though internally, much like the Torth, each one is handmade on traditional wooden looms in Kerala, thereby supporting local craftspeople. 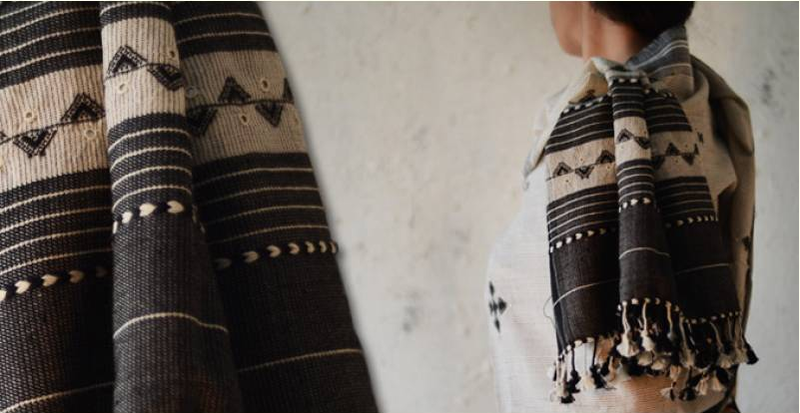 Founded in 2008 by social anthropologist Indu Menon and graphic designer Chitra Gopalakrishna, Kara Weaves partners with local weaving co-operatives to design contemporary home textiles. 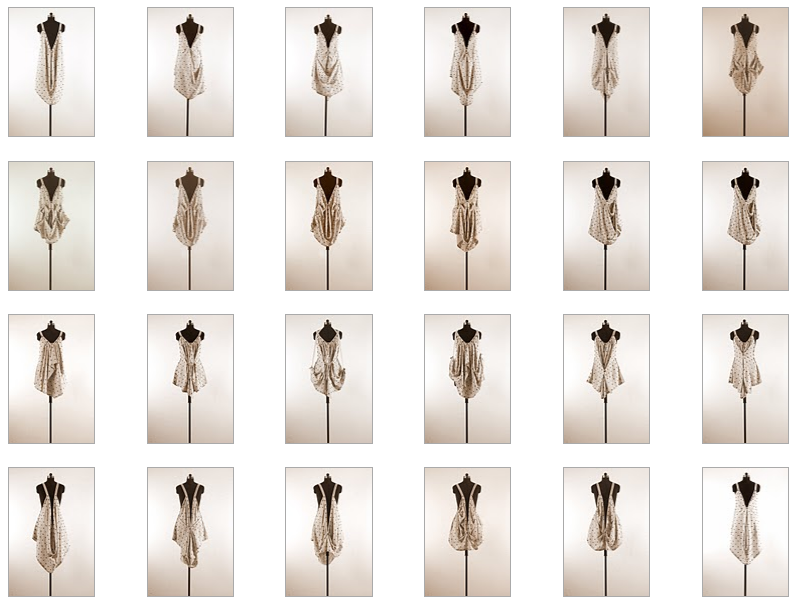 A few pieces are available to buy in India, here. Hope to see a full-fledged website that caters to Indian buyers too. These towels and the traditional Torth are a far more effective everyday alternative for the Indian summer than the bulky western options. Shramik Kala – “Shramik Kala is a collective of 400 Craftswomen from Rajankatti, Makelmardi, Kadoli, Hunnur, Telaganatti, Madanbhavi, and Chikoppa which are drought prone regions in the state of Karnataka. 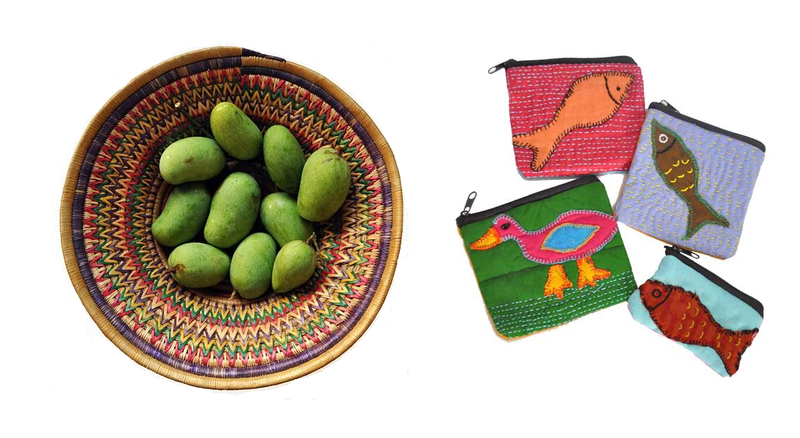 This collective was formed by Shramik Abhivrudhi Sangh, a local NGO which has promoted many craft-based, sustainable livelihood projects for women who had previously depended upon seasonal wage labor and migration to cities for work. Shramik Kala has nurtured the women to revive and master many of Northern Karnataka’s craft-traditions and techniques such as: indigo dyeing of the Neelgars, rope-twisting, folk-stitching and joinery of the Nadafs, vegetable tanning/dyeing of hides and leather-crafting of the Dhor and Samgar communities, wool-felting, spinning and kambal weaving techniques of sheepherding communities.The craftswomen now earn a livelihood by making high quality, naturally-dyed, hand spun, hand woven and non-woven bags from the natural fibres of jute, cotton, banana, mestha fibre, leather, and blended fabrics.” Their products can be seen here. The Sari, six or nine yards of fabric that drapes women of any size, shape, height or region, can be worn in different ways – for work, play or to celebrate. Though still extremely popular for occasional wear, the everyday aspect of the sari where one lounges in it as one would in a pair of jeans today, is perhaps fading in urban India. 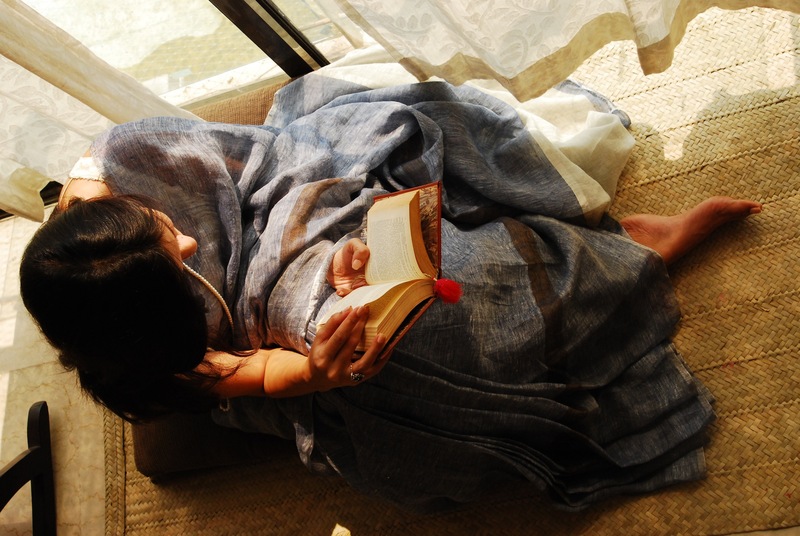 And it is that which draws me to the handwoven Linen Saris by Anavila Mishra (NIFT) as she wills us to spend our days in them. 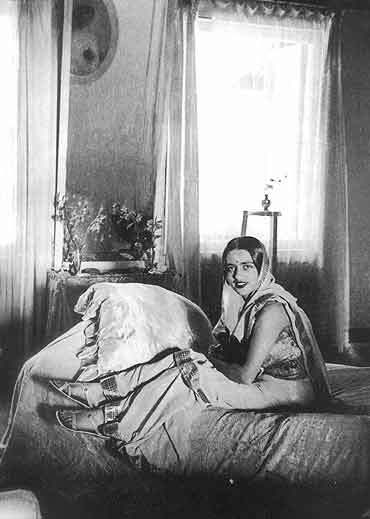 Her decision to not embellish or add details that were not of the material seems to enhance the saris even more. The patterns are subtle and the use of colours is gentle. A sense of easy flow prevails. Anavila also experiments with botanical inspired applique work – she loves nature, wild flowers, twigs, fruits, leaves and trees – and brings all that she sees into her work. The fabric used to create the botanical applique work is dyed and gives the work a sense of shadow and light, of different shades in the same form. It was a delight to see them. Sharing what she does. Luis Barragan once said, “a perfect garden – no matter what its size – should enclose nothing less than the entire universe.” Gardens and Landscapes create opportunities to poetically connect with the world, regardless of their size or location. Many of us might have either seen or experienced such spaces – this study invites you to help catalogue them to discover a new universe right where we are. LEAF invites contributors for a collaborative investigation. These are their requirements. 1. Are stunning examples of external place making. This implies that there is a deliberate, human intervention and not a place that has evolved ‘naturally’ over time. 2. These places have to have a very strong spatial character formed and/or communicated by landscape definition and not that of the built. The built could of course be the preliminary marking of space. narrative that includes, history, myth, folklore, animals, birds etc. 4. Landscape systems which might not be dramatic as immediate discernible space but will be valuable to understand as a structuring mechanism of sorts. 5. Are new narratives – agriculture, trade – new rituals and narratives for new spaces. 6. Seem quirky and unconventional; but may be of immense value to understand specific conditions or practices. For this study, we are emphatically looking at places that are inhabited by living practices. While not discounting the value of landscapes of monuments like that of the Taj Mahal, Mandu, Sarkhej etc; the depth and range of study required to incisively look at them may not be possible as a part of this study. If, within these places there are rituals that continue today from time immemorial; we will definitely investigate them further. This document will be published under the auspices of ‘LEAF’; the research arm of M/s. Prabhakar B. Bhagwat. For the past four years now, ‘LEAF’ has been engaged in primary research by engaging and encouraging students through a twelve week research internship. This mention was waiting for a full-fledged post, and while that’s coming up, there’s no reason why everyone can’t enjoy this product till then. 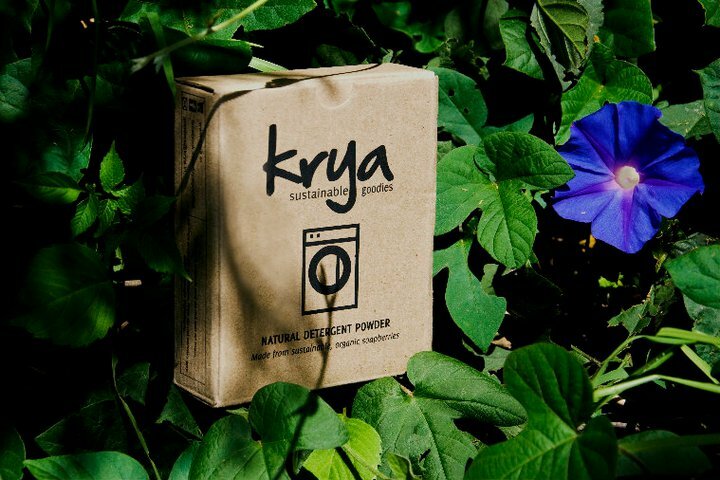 Launched in September 2011 by Preethi Sukumaran and Srinivas Krishnaswamy, Krya is a natural and sustainable detergent that works with your hands as well as with your washing machine and of course the environment. >> Get your pack here, read their informative blog, follow them on facebook. Picture courtesy Krya. 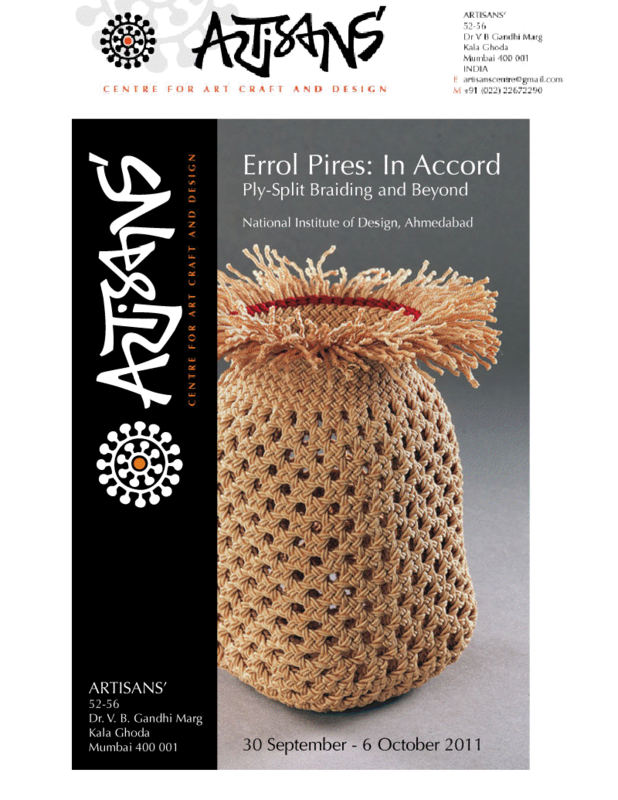 While preserving existing traditions of craft is vital, it’s equally important to foster new ways of seeing. 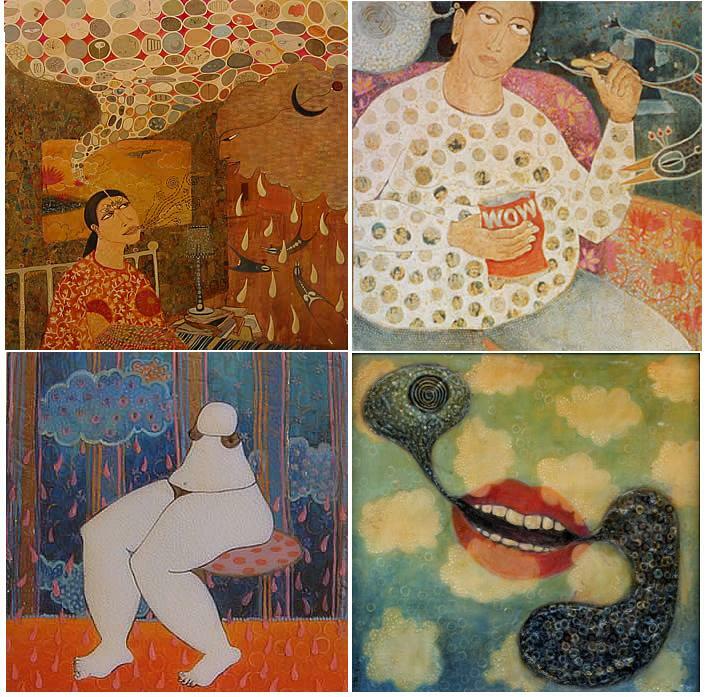 I first saw work by Swati Kalsi (NIFT Delhi 2002) at an exhibition by Jiyo! at Southbank, London. I spent a considerable amount of time following the myriad embroidered patterns. It was evocative even though it wasn’t a familiar grammar of objects and figures that we enjoy seeing in a lot of embroidery from India. There was an order in the seeming randomness – it brought to mind images of terrain mapping and cartography. 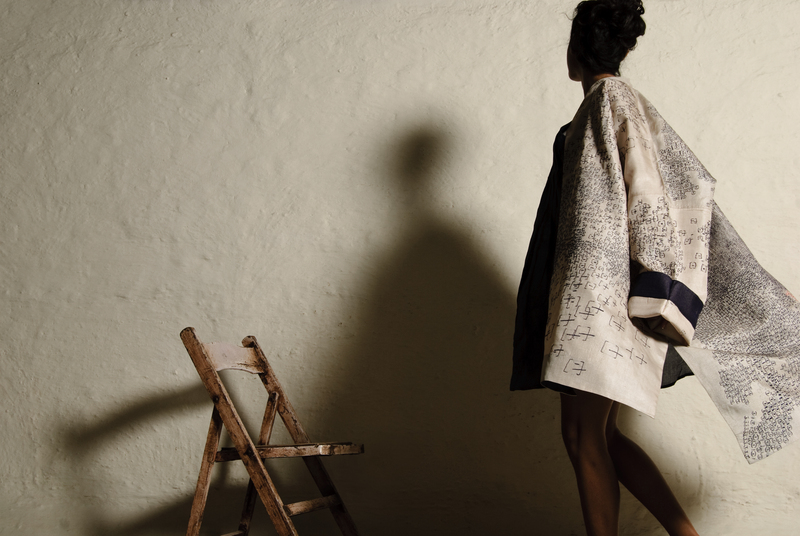 The garments the embroidery forms part of enhance the work – they seem roomy, comfortable and the embroidery follows the silhouette in a fluid manner – as if in movement itself. Here are a few images from her work. I hope you enjoy it as much as I have. This is a 2008 documentary by Hinterland Films on The Musalman. The Last Calligraphers from Hinterland Films on Vimeo. This was a more recent report on The Musalman. The Origomu site states that “Over 46,000 pieces of plastic litter are floating on every square mile of ocean today, killing 2 million sea birds and 100,000 marine animals every year, with many getting entangled in plastic six-pack rings.” To create awareness and re-use of plastic waste, Origomu invites and inspires people to make jewellery from these objects and shares the work on their site. 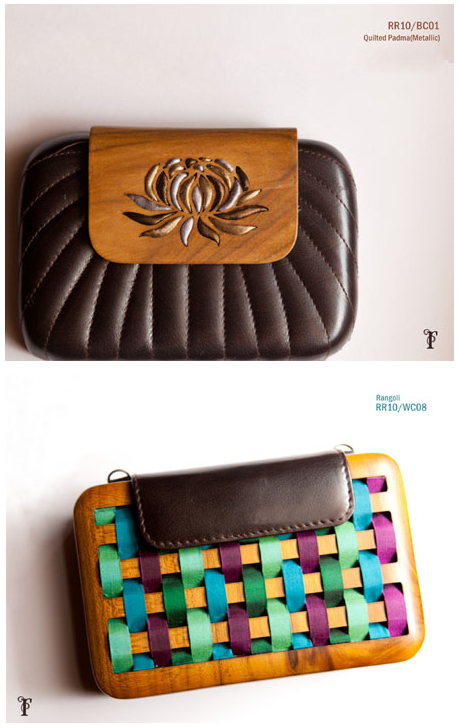 These are Sham Patwardhan-Joshi’s creations using six pack plastic rings, shells and thread. I loved the way it connects to the cause of saving marine life by using elements left over from settlements in the sea alongside elements left over from settlements on the Earth. Makes one think of what we contribute to the planet. 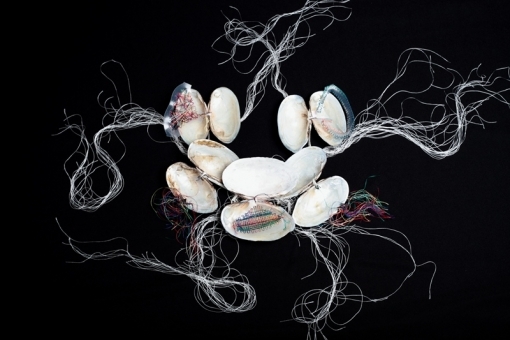 The photography makes the creations look like undersea creatures and the names are evocative. Would love to see them for real. Some refreshing products for children that I enjoyed seeing. Prachi Walia (NIFT) grew up travelling across India, discovering Indian textiles and now brings it all into her collection. 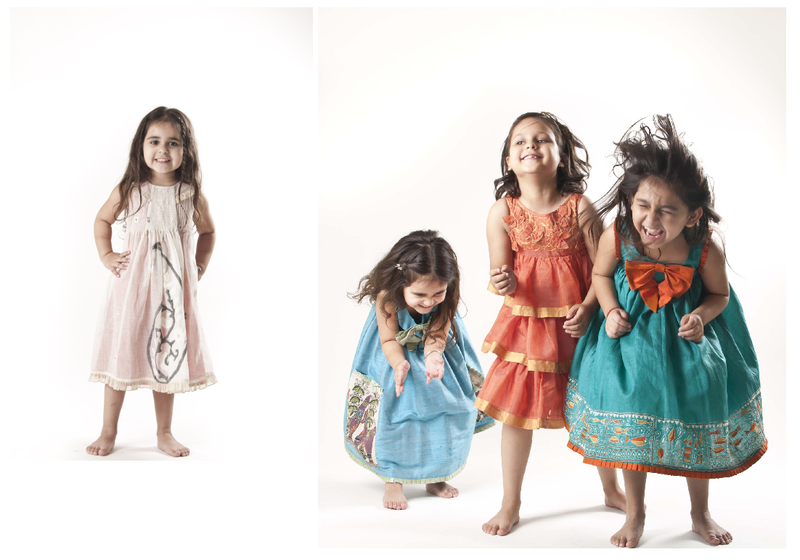 Vintage ‘mom-crafted’ frocks, and the joy of dressing up inspired her in creating Litttle Prachee. 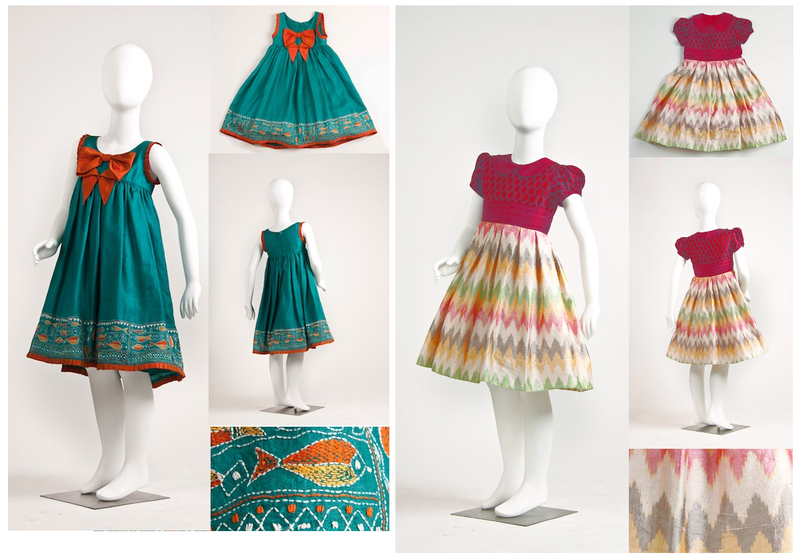 Love the use of embroidery, Indian fabrics and the sense of play – would love to see some for boys. You can find more of her work here. 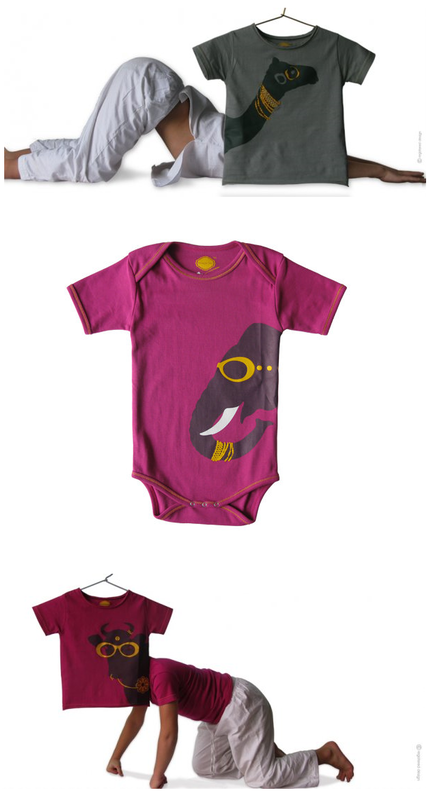 The prints are playful, the colours are happy and many are gender neutral which is wonderful. 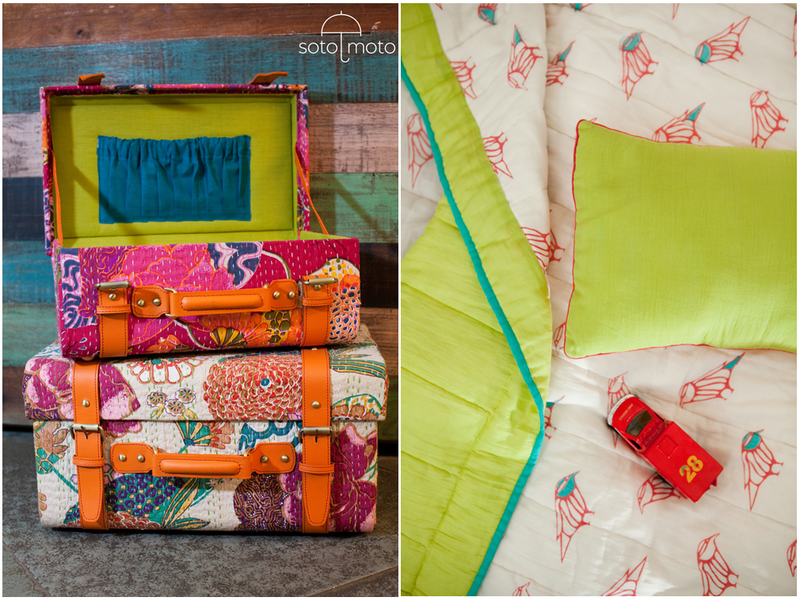 Sotomoto is at 24/2 Hauz Khas Village on the ground and 1stfloor, Tuesday to Sunday from 11am to 7pm. And online here and here. 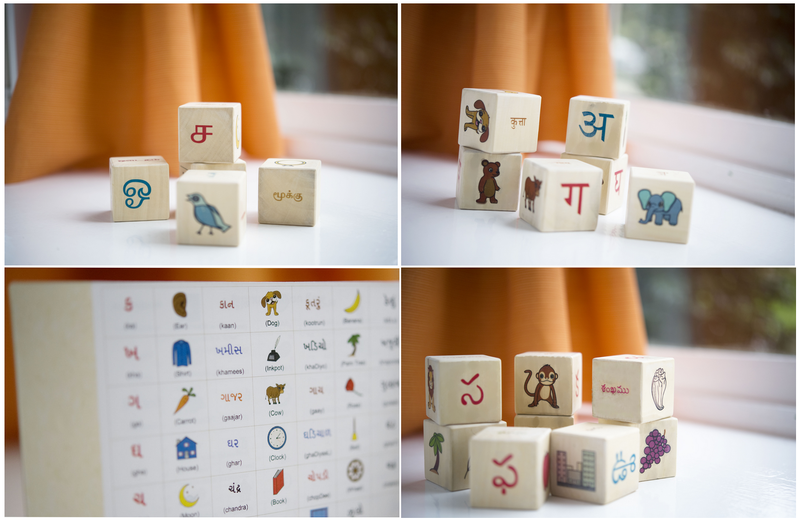 The Gnaana alphabet blocks are truly practical and meaningful. And a wonderful way to introduce your child to a new language. You can pick yours here. 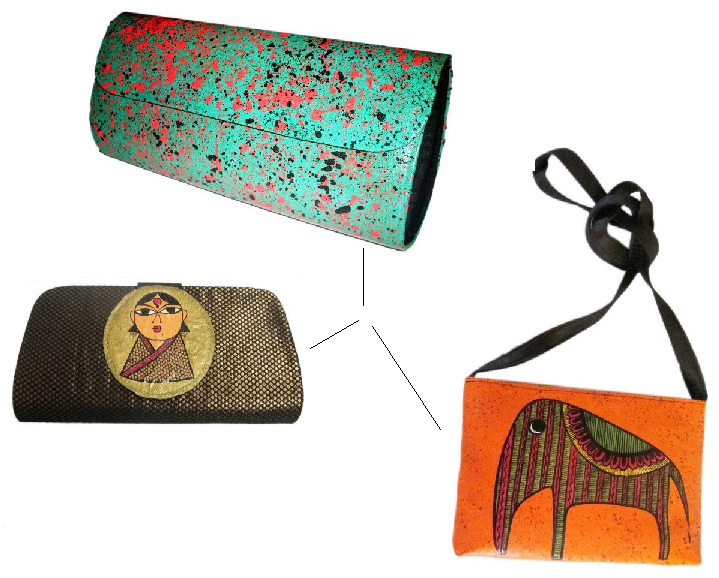 Aneeth Arora’s Pero is a delightful brand. It tucks in lots of lovely details and brings together varied Indian fabrics like ikats, natural dyed khadi, woven chanderis, gamocha from Assam, telia rumals from Andhra Pradesh. Get some here. British Council Arts did series of interviews with those within the design sector on what the design industry in India is all about and where is it headed. I found Laila Tyabji’s thoughts especially enlightening. Design Industry in India by Laila Tyabji from British Council Arts on Vimeo. This one made me laugh out loud. 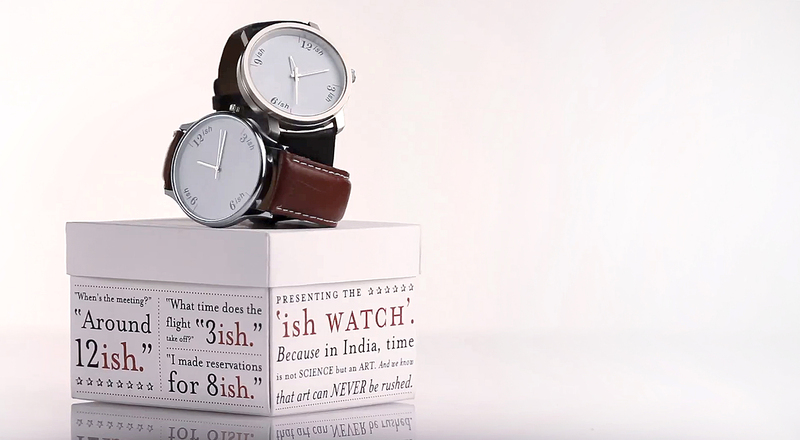 Time indeed is a flexible commodity for many of us in India. There is an unsaid rule of sorts, a subtext that once understood adds clarity to interactions. This watch makes it explicit. Photography has changed the way we look at the world. How photogenic a thing is has gained much importance. Something that makes it difficult for details, subtlety and intricate work to stand out at times. Especially so when the context is a fashion show. Movement, distance, lights, everything affects what we see. And it’s unfortunate because details is where a lot of the magic really is. 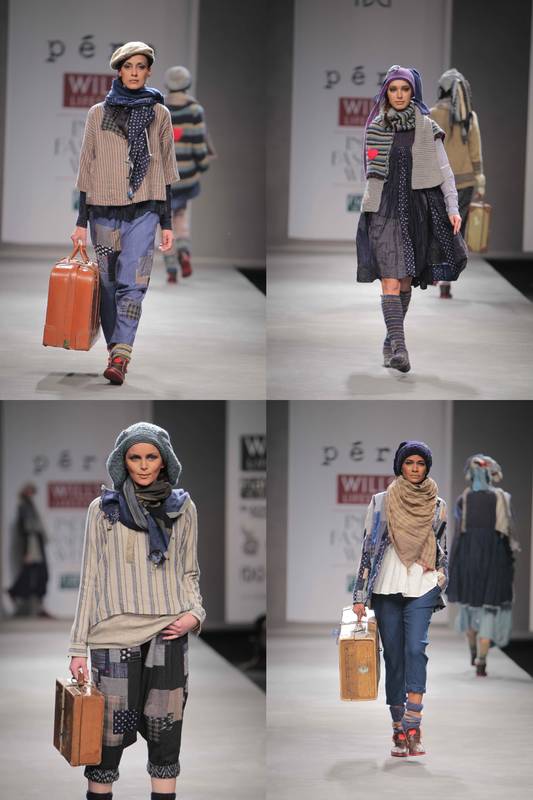 The team at FDCI shared a few images from the WIFW. In no particular order, here’s a pick of what caught my eye with some details picked out so one can look closer. Today, our fingers and hands do more of this – typing words onto screens, hailing taxis, raising toasts, holding files, carrying shopping bags – and less of this – folding paper to make planes, digging through mud to sow a seed, sewing a button, threading a needle to darn a tear. The process of making is ebbing from urban lives and with it, perhaps a sense of what our hands are capable of creating. 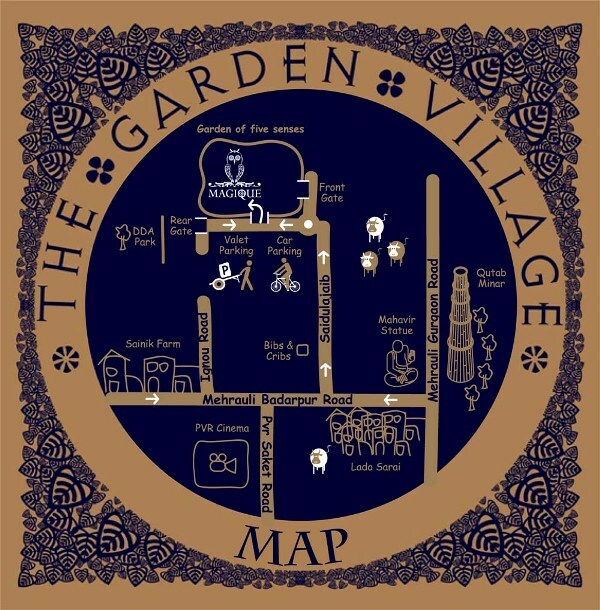 Padmaja Krishnan (NIFT Delhi) opens her installation and sale of hand-crafted clothes at the Artisan Gallery today. 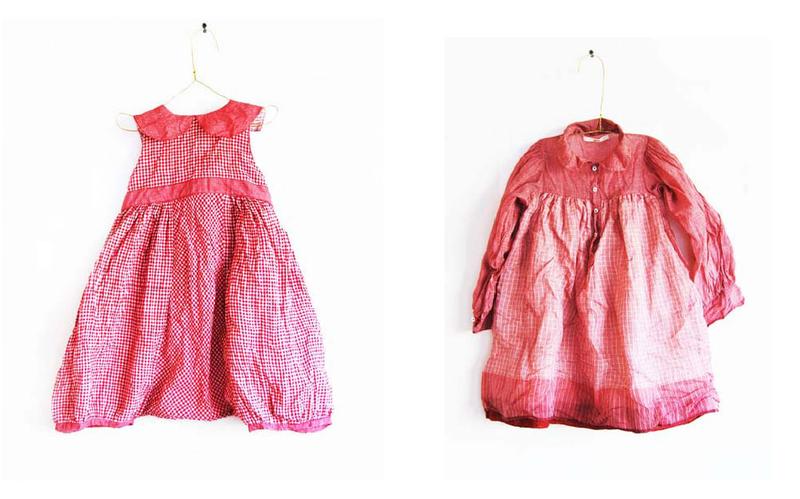 In form, her clothes are contemporary; in content, they bring together skills and traditions from the past. She terms them slow and useless. Slow because the pieces are hand-sewn, cared for and given time to take form. Useless since she revives rags and castaways and houses them in new ways. Wearing something handmade and knowing what went into the process makes that particular piece of clothing radiate with character. It is then difficult to not feel cherished while wearing it. 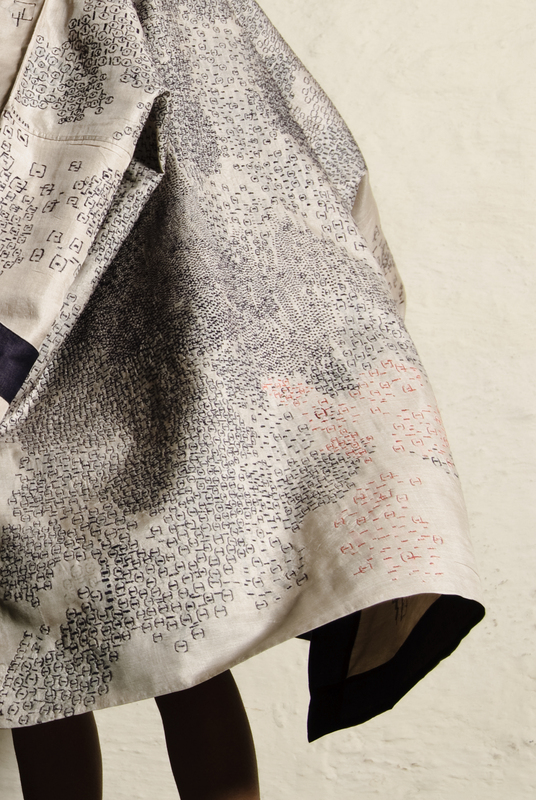 Padmaja’s decision to take time making what she makes is bound to affect the character of her garment and that in turn is bound to affect the wearer. Perhaps a sense of slow will permeate and the wearer will stop to appreciate the seams and threads and colours and then perhaps it might become a reason to be aware of everything around them. All because someone choose to take time and go slow. Spend some time in her slow and useless world and if you choose, bring it back into yours. Nidhi Dube from the Indian Institute of Craft and Design wrote to me to introduce Tejas Soni and his experiments with the Dhokra craft. Dhokra is an ancient craft practised by nomadic tribes who have since settled into parts of West Bengal, Jharkhand, Orissa and parts of southern India. One of the earliest known pieces found was the Bronze dancing girl at Mohenjadaro. 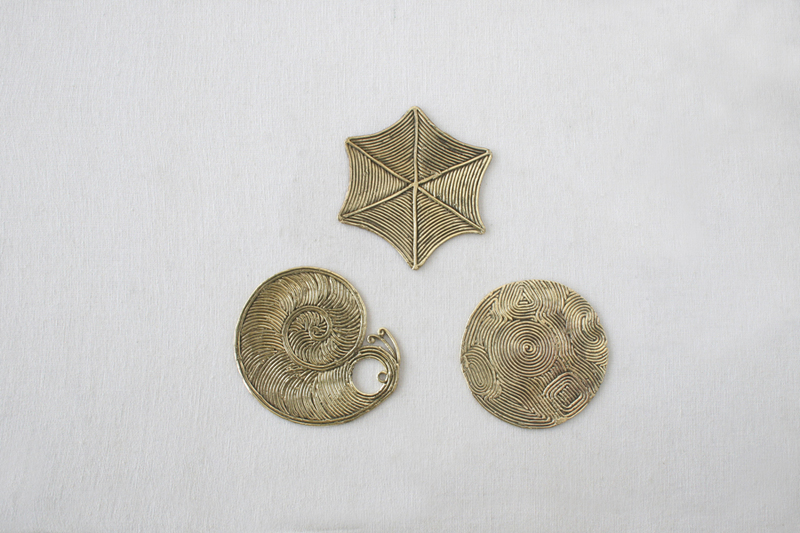 The craft is practised by both men and women and the objects are cast in metal using what is known as the lost wax process. 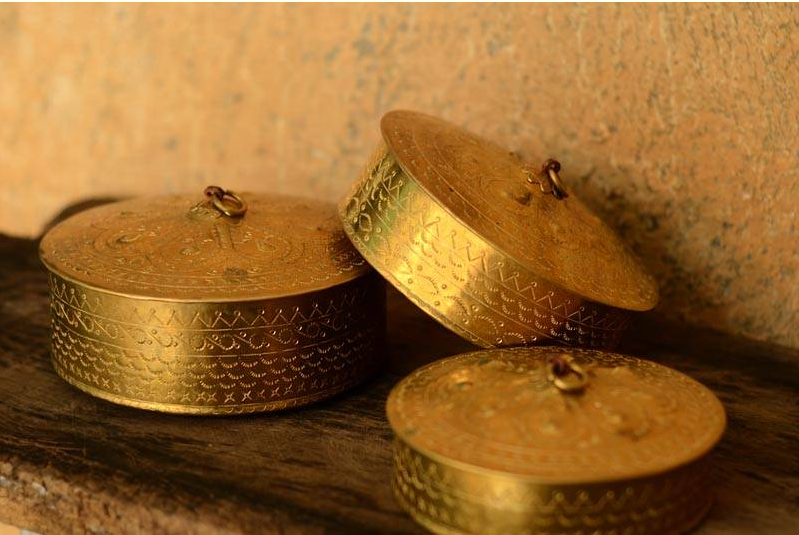 Today it features more as a exotic buy rather than a relevant ingredient in our daily lives as it was in the ancient times when religious figures, jewellery, diyas, animal figurines and vessels were essential in many homes. The revival, support, reinterpretation of any ancient art is often met with skepticism – will reinterpretation dilute the legacy or turn it into something commercial and ubiquitous and most important of all, will it benefit the ones who started it all. 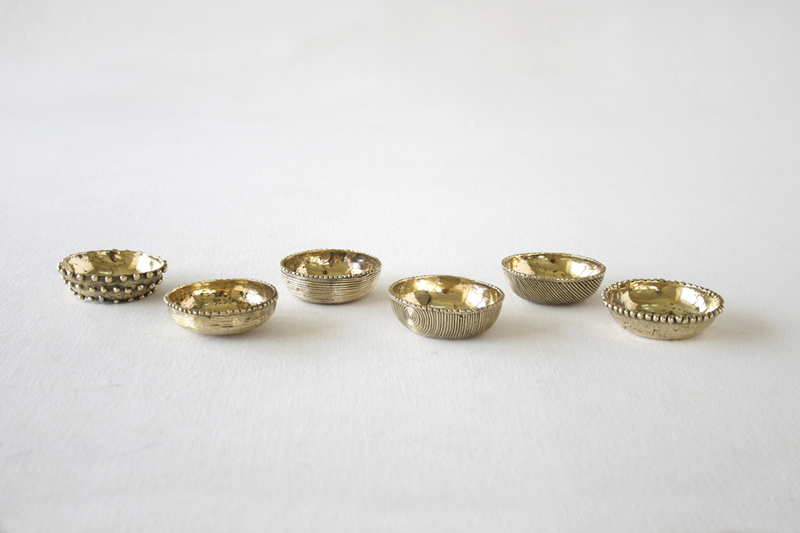 Tejas Soni works with artisans to reinterpret Dhokra in the modern context – the work is clean and the objects are utilitarian thus can merge in our daily life easily. The forms within it make me wonder – a platter with a cowherd and his cows, a jug with a tribal man on the handle, tribal girls in a trivet – the forms used by the metalworkers in ancient times were an interpretation of the times they lived in – for us, these forms, though lovely, are far removed – how will we choose to interact with them – will we be conscious of their presence or will they perhaps be, just another design element. Let’s explore his work and views. To copy is to kill one’s own source of creativity. True inspiration is about admiration, respect and progress. About interpreting what you like, to create something altogether new and often unrecognisable from what inspired it. If it looks exactly like what inspired it, it is a copy or a lack of imagination. I hope all among us who seek inspiration will see the difference in the two and opt for the latter. A new blog initiated by dedicated makers and creators, who recognise the damage that copying can cause to business and morale, especially for small businesses, now makes it possible for people to share their copyright violations and plagiarism issues. If you have faced similar issues, do get in touch with them, along with of course, pursuing all possible action that you need to. The third issue of Spade is here. It deals with architecture and collage and as always promises to throw up questions and thoughts. Contributors include Christopher Benninger, Batul Raj Mehta, Iian Jackson, Gautam Bhatia, Jeenal Sawla, Rohan Shivakumar, Meghal Arya, Sonal Sunderajan, Suhasini Iyer, Aniket Bhagwat and Samira Rathod. You can view a sample of the inside pages via the pdf link below. Orders can be placed via the email id provided. 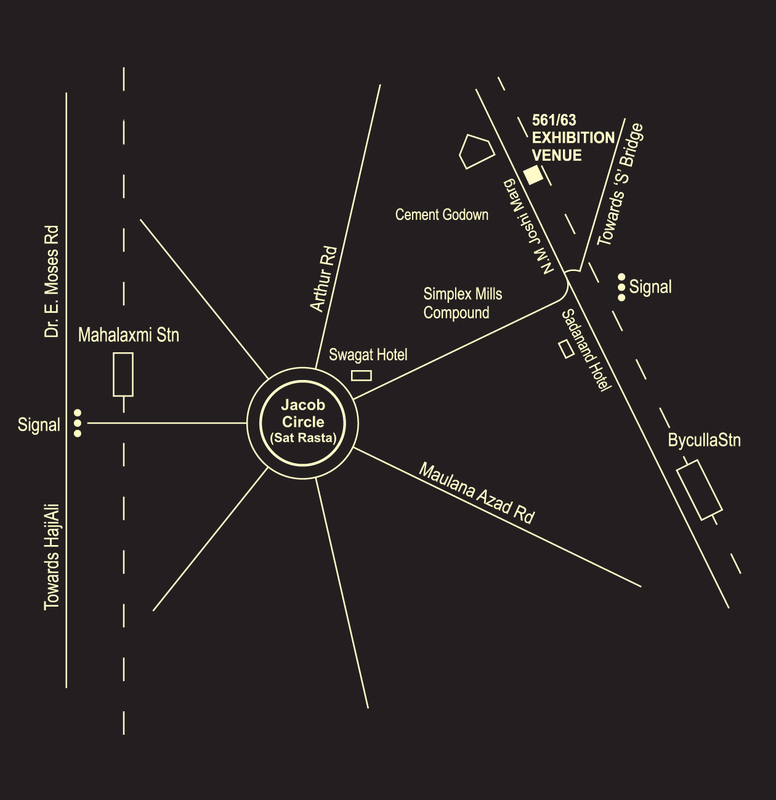 Those interested in research work with SPADE can email for positions at Ahmedabad and Mumbai. 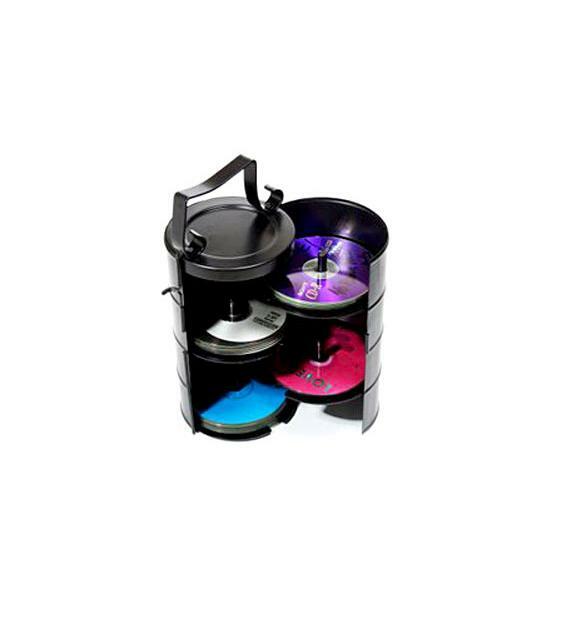 Basic living, in urban and rural areas, has expanded from food, clothing, shelter to include tv, mobile phone, laptop, washing machine, fridge, water heater, ac, car and more. All of which are dependent on fuel/electricity to make them work. The key to living in the future might just depend on how we are able to gain independence from the circle of resources – by building our own homes, growing our own food, even creating our own energy. It is perhaps a way to ensure equitable distribution, responsibly. But for now, these uber basics are vital in our lives, and we must navigate them as best we can. Until an uber cool alternative shows up at our doorstep. I’d previously read about ChotuKool, the Godrej fridge that ran on batteries, but this was even better. Purvi Sanghvi, from The Other Side, travelled to Gujarat to take pictures and chat with Shri Mansuk Lal Raghavji Bhai Prajapati from village Wankaner in Gujarat on his invention – a clay fridge that keeps food fresh and cool, without electricity. Vinod Lal Heera Eshwer is a nature evangelist. A nurturer much like Dickon in the book, The Secret Garden. His children’s book, Let’s Plant Trees, is filled with Vinod’s charming sketches to show the true saviours that trees are in our life. The book comes with a gift of seeds that literally helps sow a love for trees in a child. >> A review of the interesting launch of the book can be read here. The book is published by Tulika and is available at Strand, Mother Earth and Books for Change. Let’s Plant Trees also has a blog. 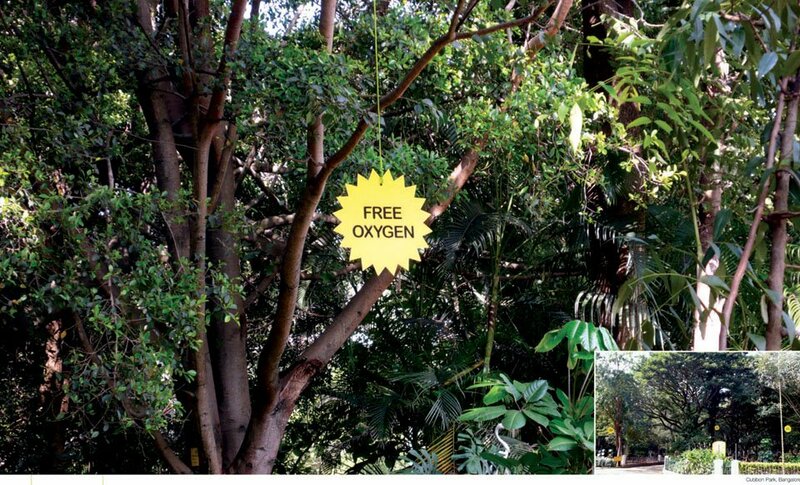 Vinod also promotes Trees for Free. 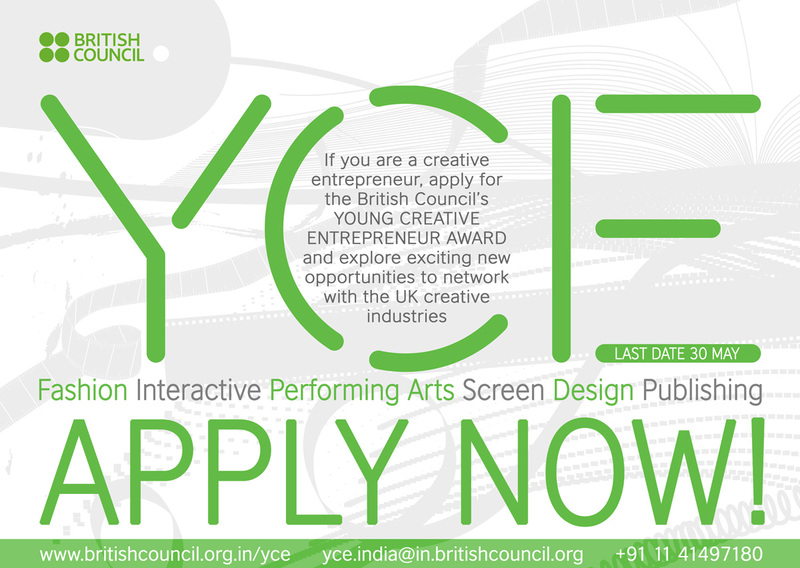 Applications for the YCE awards in the sectors of Design, Fashion, Interactive, Screen, Performing arts and Publishing are now open. If you are between 21 – 40 years of age, run your own enterprise in these sectors, apply by filling up a form on the YCE website. If shortlisted, you will be invited to present before a panel of industry experts. The winner will travel to the UK during a relevant trade event along with winners from other countries. Last date of application is 30th May. 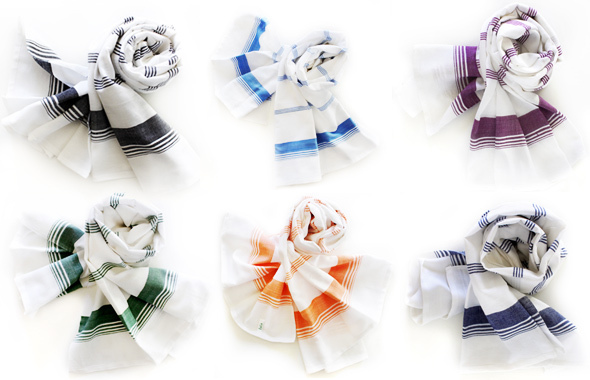 His debut collection of stoles is now available at Bombay Electric. Pictures and text via Bombay Electric. 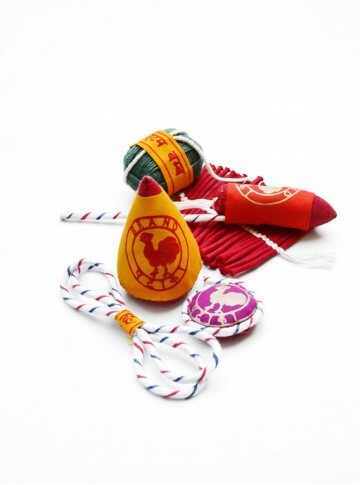 The toys of my childhood were often assembled with things lying around – newspaper for boats, pebbles for pittoo, chalk for hopscotch, walls for four corners, trees to climb, paper for kites, twigs and rubber bands for slingshots. Toys today are store bought, often hi-tech, tagged according to age group and pre-created. When Rajiv Majumdar shared these videos of Toys made from Trash, it felt like I’d stumbled upon a treasure. They are the collective effort of Dr. Vidula Mhaiskar, Ashok Rupner, Shivaji Mane and Arvind Gupta who want to make science fun for children by designing low-cost teaching aids. The team works in the Children’s Science Centre, incubated by the Inter-University Centre for Astronomy and Astrophysics, Pune. Their website features 1100 short films in 13 languages, around 3500 books on Education, Science, Environment and Children’s Books, all available to download for free. Here are a few of the films. 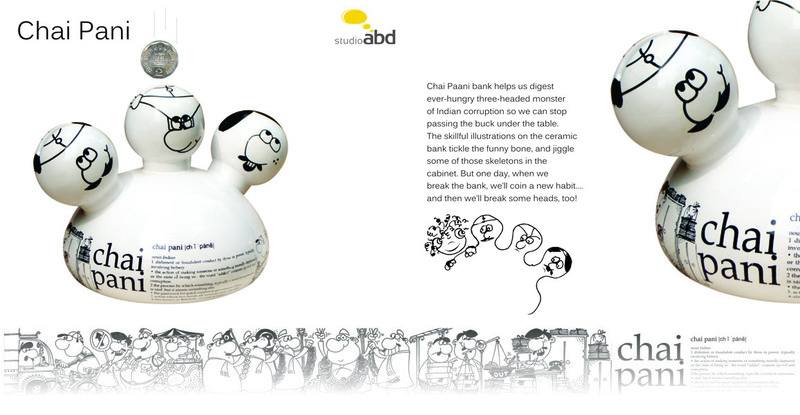 My friend Kavita Arvind introduced me to Anuj Sharma’s work in 2008. Purvi Sanghvi re-introduced me to him via this video today. And I am glad she did. Fashion has increasingly become a business of generating mass trends, the irony of it being that following trends is pretty near unfashionable, not to mention not too great for creativity. So where does that leave us consumers? What is our relationship with fashion? Do we really have a say in what we wear and how we wear it? As a student, I remember buying yards of fabric from khaadi bhandar, going to the tailor, drawing patterns, speaking of fits, hearing the master at the tailor tell me ‘try this, try that’. A lot of my friends made their own clothes too. There was creativity in the entire exercise not to mention immense joy in wearing what one had designed. And I didn’t have to be a design student to do so. Today we trust our wardrobes to designers and our styling to the stylist in a magazine. Anuj Sharma recently spoke at TEDx. He questioned our growing distance from design. And how it got him to create Button Masala. So we can start interacting again, use our creativity and have some fun. Watch the video to hear it in his own words. 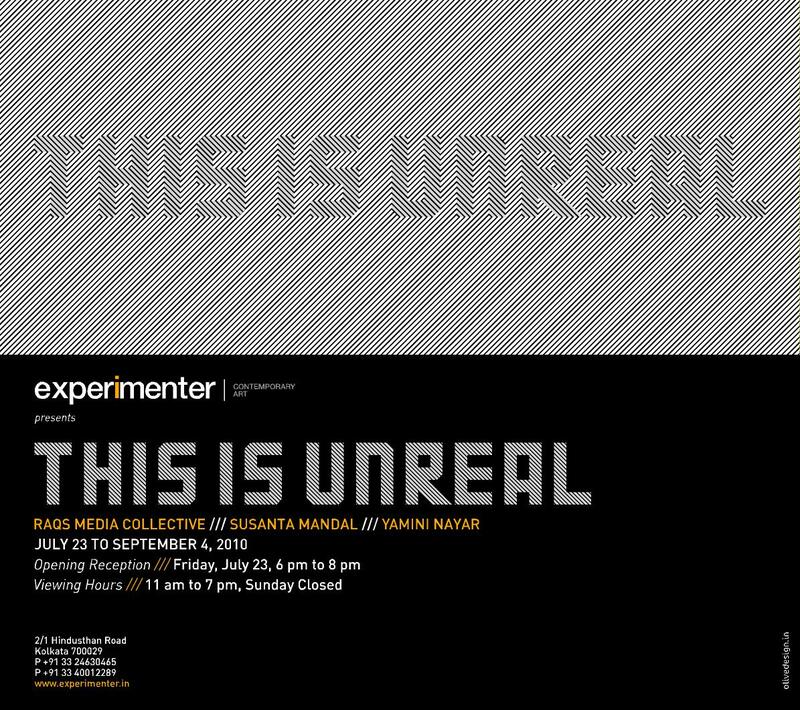 Guerilla or unsanctioned art invades reality as we see it and interacts with us, the wider audience, in a context that we can relate to and often understand. The subject could be anything commonplace – a street corner we have often walked past, a lamp-post we rarely looked at, storm water pipes that never caught our eye. The act of using the public domain as a gallery, of revisiting everyday spaces and objects and giving them a new meaning could stem from myriad motivations; to make a political statement and challenge the establishment, to be democratic about who gets to view art, to express oneself or sometimes to simply make things better. 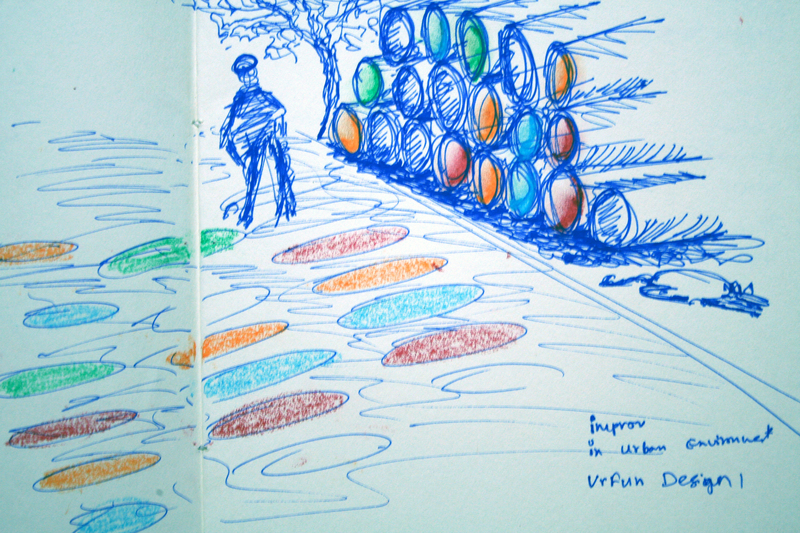 Urfun Lab Surat is a clutch of young professionals – Architects, Landscape Architects, Urban designers, Graphic Designers, Event Managers – who have come together to find, create and share their own expression of the urban space around them. By using colourful cellophane sheets, they transformed a mass of storm water pipes into a poetic installation that reflects playful patterns on the otherwise nondescript tar road. These pictures have been pending in the mail archive for a while now. I like the sense of play the pictures have and the dusted Indian yellows and pinks of the tees. 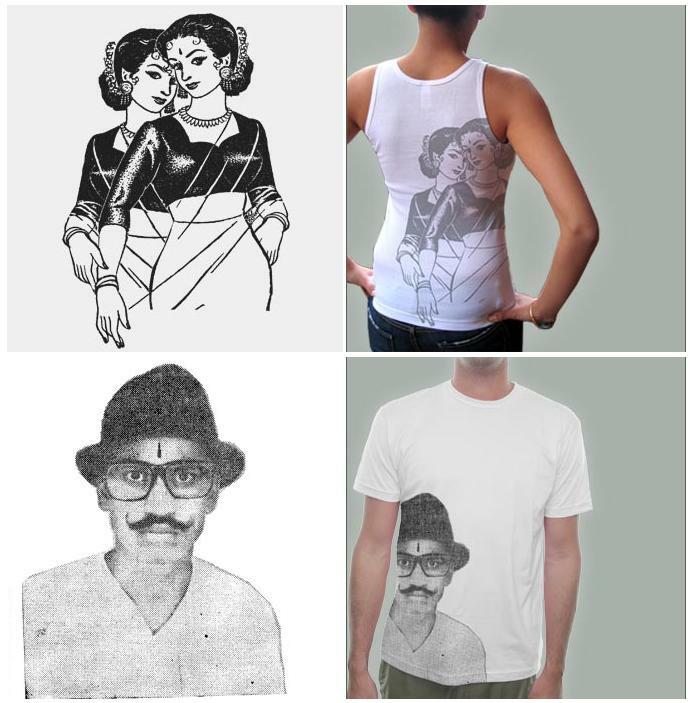 Available at the Masala Tee Boutique. 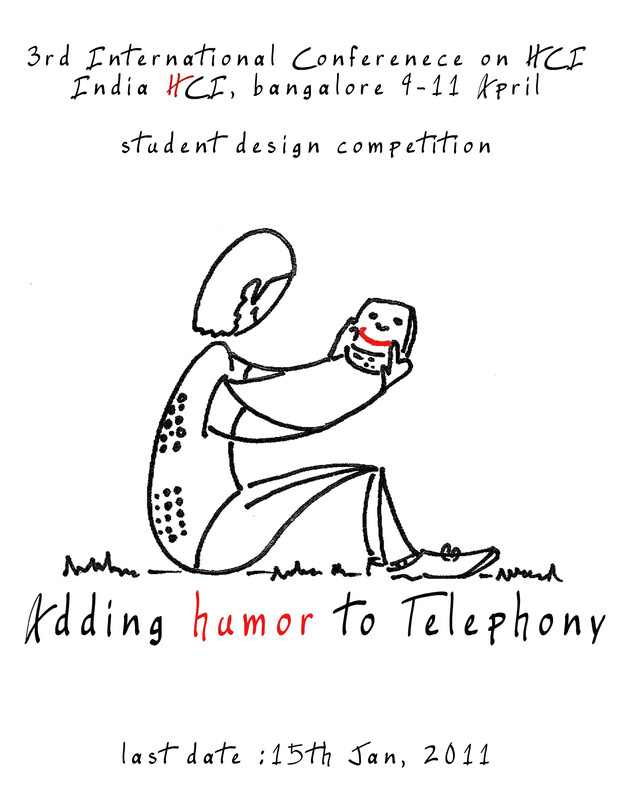 The India HCI-Student design competition. Open to all currently enrolled college students. This is a part of the 3rd International Conference on HCI to be held in Bangalore in April, 2011. 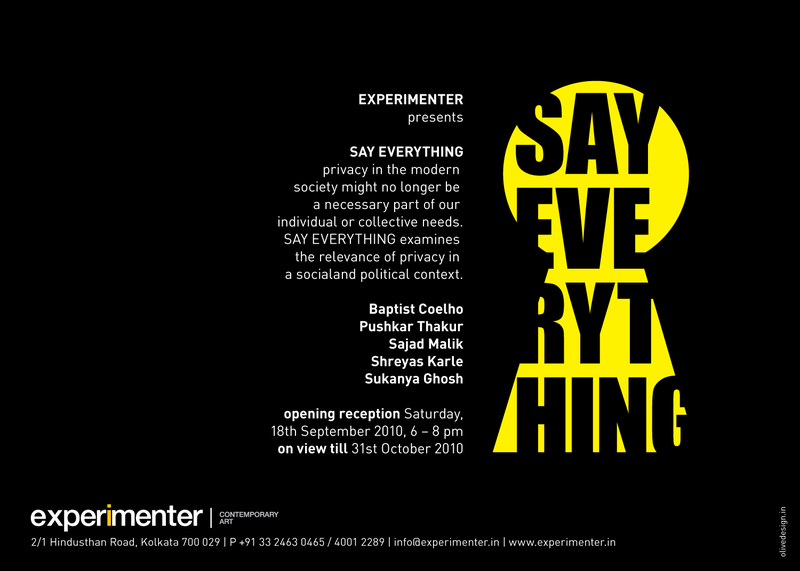 Sakshi Gallery’s 25th anniversary show. Curated by Swapan Seth. 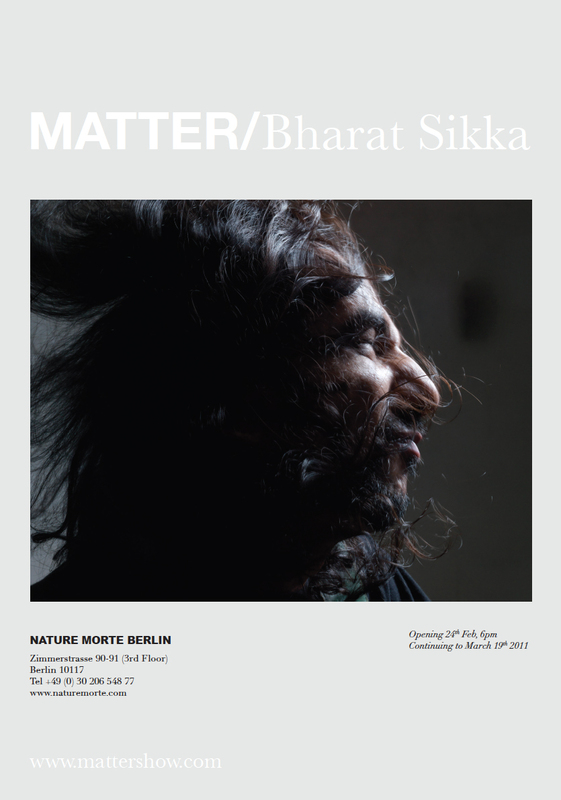 Opens November 12th, 6pm at Lalit Kala Akademi, New Delhi. Promises to be interesting. Details on the Sakshi Gallery website. Architecture competitions have their fair share of debates on efficacy and final output, but realised projects like the Pompidou Centre and Maya Lin’s Vietnam Memorial have had a profound impact on the relevance of competitions. The quality of the jury, conviction of the brief and whether the project sees the light of day are crucial in this debate. It is gratifying to see a competition in India that promises this and more. THE SPIRETEC COMPETITION: An architectural design competition for a 62,750 square metres mixed use area that is part of an IT office complex spread across 85,000 square metres of land; with a built potential of 1,75,000 square metres. 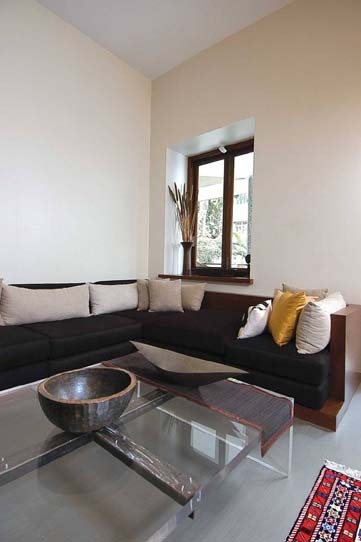 The complex is in Greater Noida; part of the Delhi – National Capital Region (NCR). The NCR is spread over an area of 33,578 square kilometres. It is the ninth largest urban agglomeration in the world. The site for the SPIRETEC project lies adjacent to the flood plain of the river Yamuna. 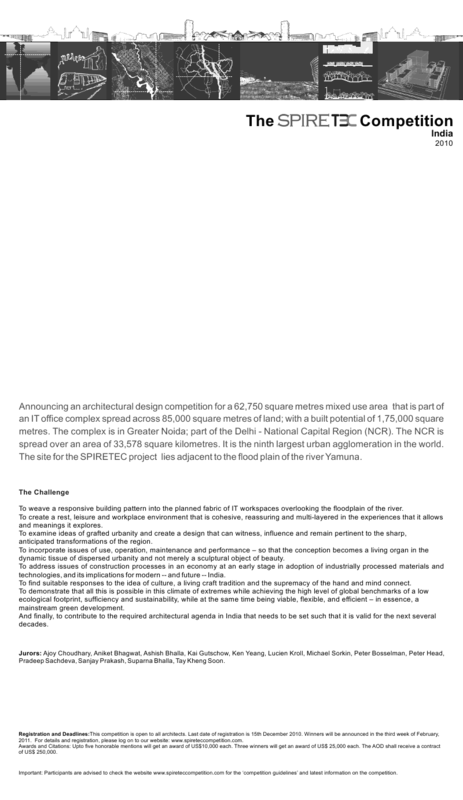 THE INTENTION: To foster an architectural debate that will influence main stream architecture in the country, to examine newer ideas relevant to design and sustainability in the context of India’s new urbanity, and to set extremely high standards of both transparency and quality of assessment in this competition and for such efforts in future. The project already has financial closure and will be built in the next few years. 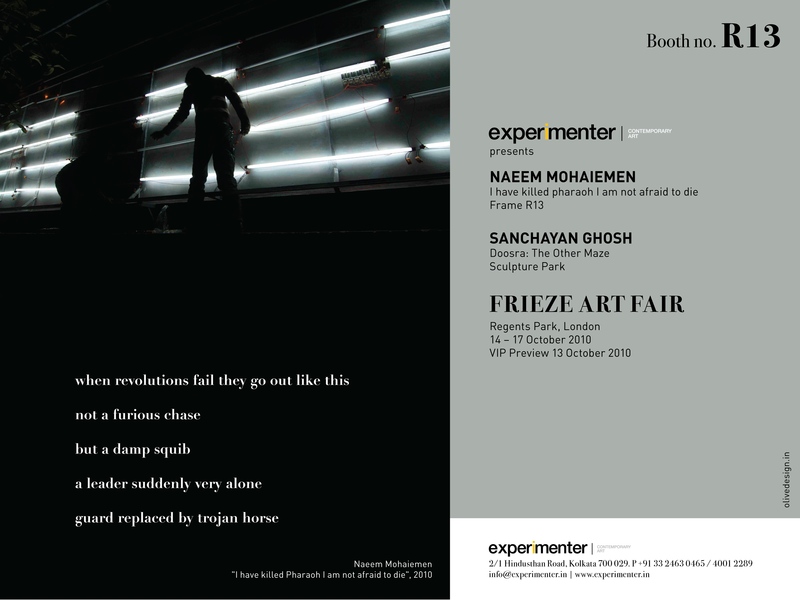 THE JURY: Ajoy Choudhary, Aniket Bhagwat, Ashish Bhalla, Kai Gutschow, Ken Yeang, Lucien Kroll, Michael Sorkin, Peter Bosselman, Peter Head, Pradeep Sachdeva, Sanjay Prakash, Suparna Bhalla, Tay Kheng Soon. THE AWARD: Up to five honourable mentions will get an award of US$10,000 each. Three winners will get an award of US$25,000 each. The AOD shall receive a contract of US$250,000. Details of the competition are enclosed in this pdf – The SPIRETEC Competition Brief and can also be accessed via the website. A year ago, in the living room of Jyoti’s apartment, I watched her perform The Doorway for an audience of one – me. It stirred me, in a way that I could not understand or place words to. It is an intense, involved experience and the interpretations are as much ours as hers. 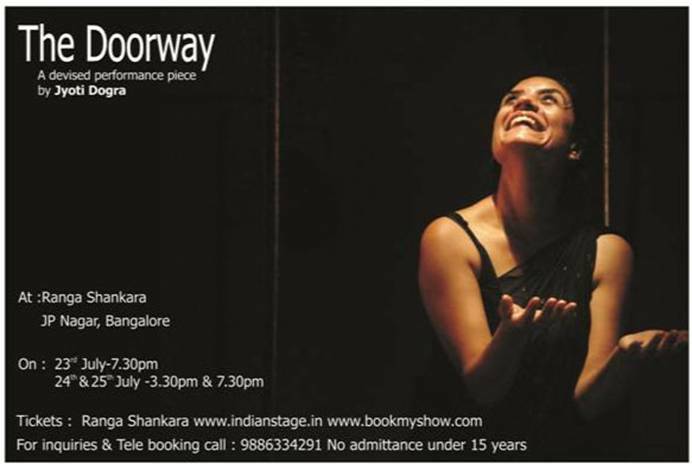 The project was funded by India Foundation for the Arts under the Extending Arts Practice programme and is being performed this weekend in Bangalore. “‘The Doorway’ is a collection of stories woven into a physical narrative examining the nature of our physical inhabiting of ‘closed’ and ‘open’ spaces. 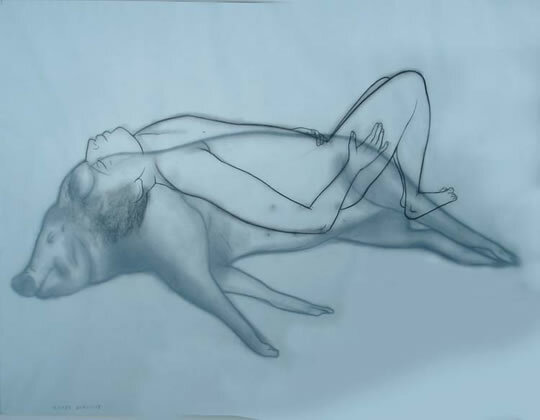 The spaces considered in the piece vary along a continuum from the literal to the metaphorical; the body’s response to space itself, and the various associations that spaces evoke, connects the diverse material. 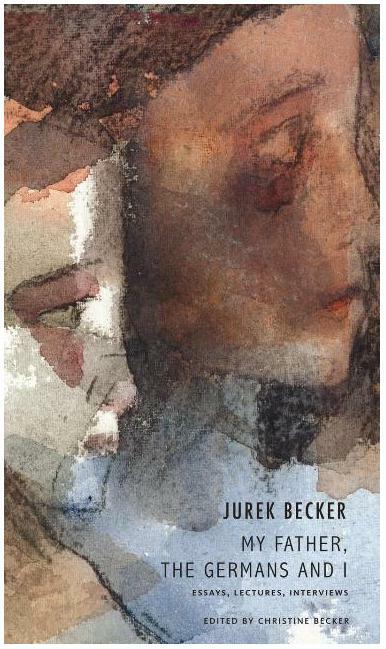 Some of this material is loosely autobiographical; the rest has been drawn from images or impressions of life around me, some from fairy tales and folk songs, and some from entirely imaginary experiences. The narratives are communicated through bodily images, gestures, and sounds [mumblings / chants], with minimal spoken text. They sometimes feature unambiguous beginnings and endings, but, more frequently, begin in the middle and are then abandoned, or conclude abruptly, or begin independently only to subsequently merge with the others. The piece does not look to convey the specific details of these stories so much as to use them as provocations evoking stories from the lives of the spectators, who are encouraged to begin their individual journeys of personal associations. 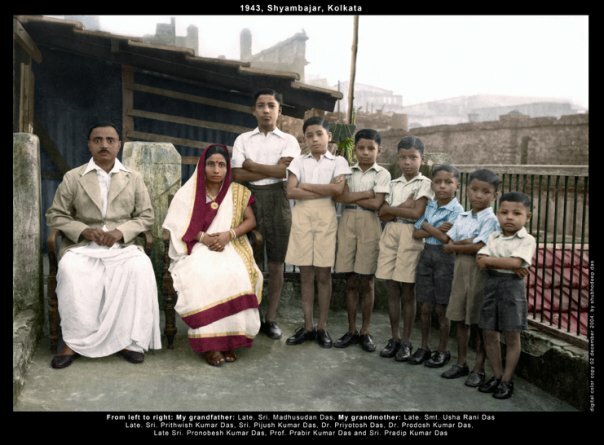 The fine muslins of Dhaka, then Bengal, India, were famous when Babylonian and Assyrian kings ruled Western Asia. They were among the wares first brought to England and America by the old East India Company. Mulmul or Mull, as fine muslin is called in Hindi, is a very finely spun cotton yarn. It is light, soft against the skin, has a lovely fall and breathes well, thus making it ideal for hot, humid and dry weather. A Fine Arts graduate, Puja Chodha moved from Bangalore to New York ten years ago. She conceived her brand Mulmul – comfy-chic loungewear – and founded her company pickypixie inc. in 2008. Her Spring Summer’10 launch collection, Waking Dreams, showcases no prints or colours – just a simple calm, handcrafted lounge-in feel, in what else but mulmul. 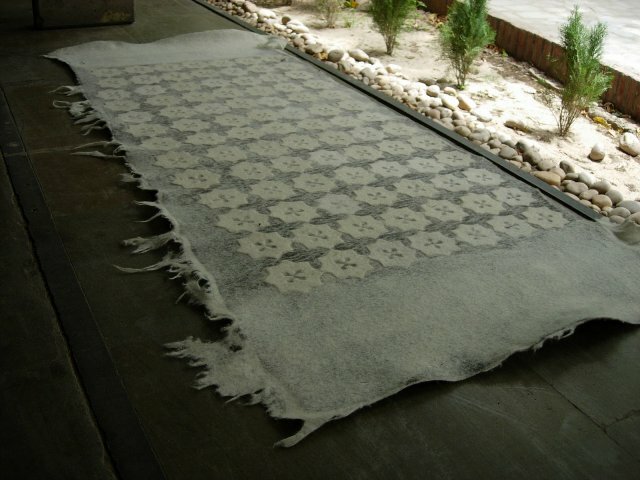 Reminiscent in parts of Victorian India and at times the comfort of the white Kutchi kediyu and parsee sadras. A sensuous yet sensible wardrobe for an Indian summer, anywhere in the world. The only thing missing, perhaps Lakshmi Menon. Presenting the delicacy and beauty of Mulmul. 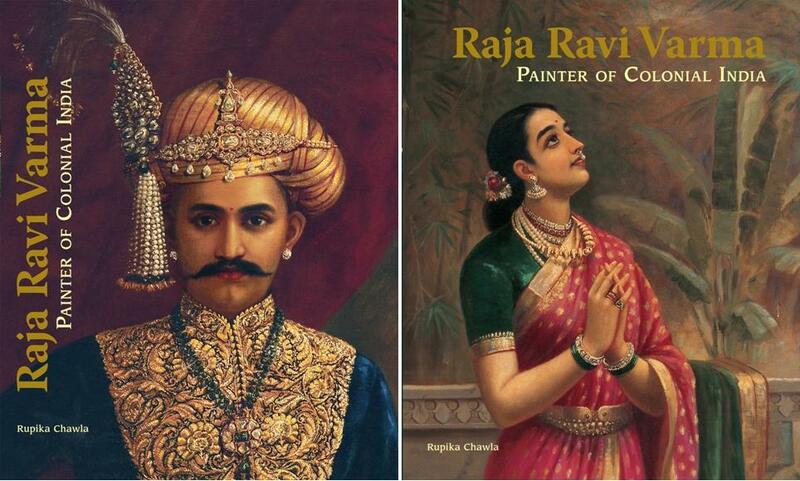 Book cover design in India has a long organic history. Many of the early Punjabi, Bengali, Tamil, Malayalam, Hindi and Urdu literature book covers were stunning, sublime and ‘graphic’ even before that word became stylish. So the legacy is a formidable one. Among the newer sets, Amar Chitra Katha and Tara Books have some beautiful covers. 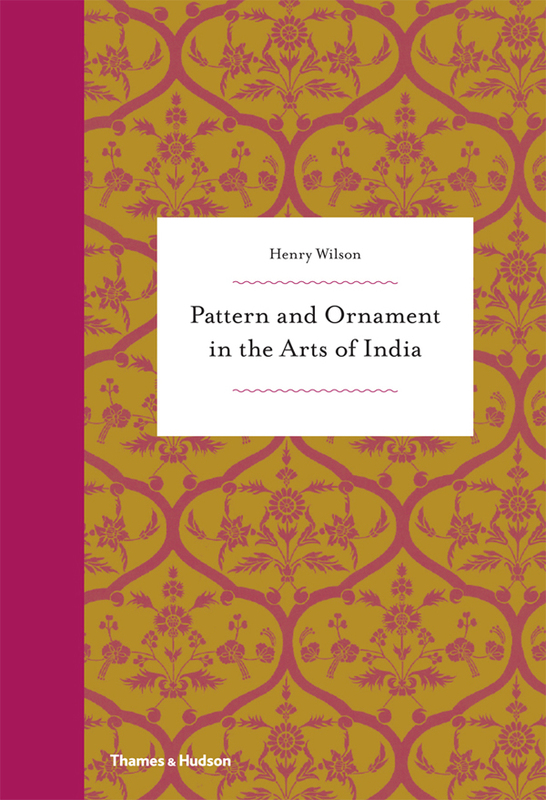 Though often, contemporary Indian book design has been more ‘inspired’ than rooted. The act of defining becomes so much more important for independent publishers. 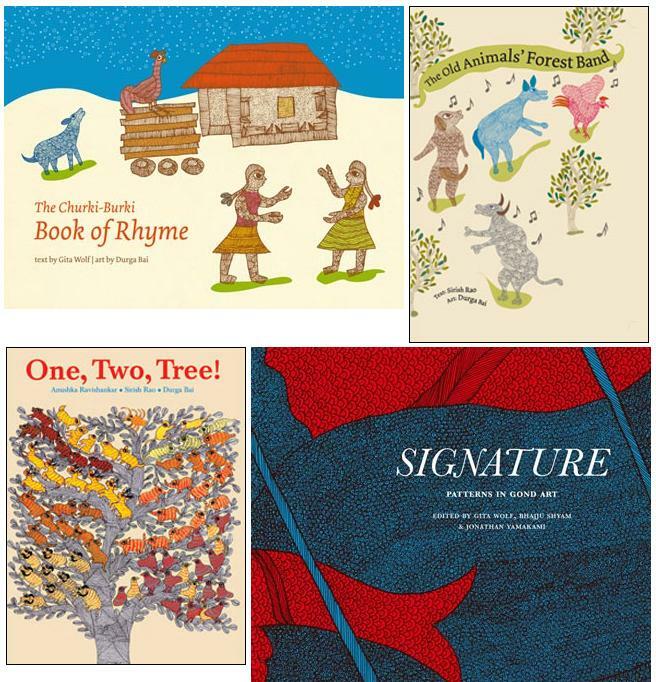 To celebrate the art in their book covers, Seagull Publications presents ‘The Art of the Book – Digital Collages by Sunandini Banerjee, Senior Editor and Graphic Designer, Seagull.’. Opening Saturday, 19 June 2010, 6.30 pm at the Seagull Arts and Media Resource Centre. If in Calcutta, do attend and of course, you’re encouraged to judge these books by their cover. Smile. The burgeoning Rs 1-lakh crore domestic jewellery industry in India is testament to the importance Indians place on their jewellery. Where once it was the preserve of family jewellers and trust was gained over many generations, the emergence of jewellery designers, independent and those designing for jewellery houses, has today egged people to experiment and accessorise as never before. Featuring independent designer Hanut Singh, whose jewellery reflects grace, quiet grandeur and a traditional Indian spirit. Hanut seems to design to flatter rather than overwhelm the wearer and his creations are versatile enough to be worn over almost anything, at any moment, for any occasion. The grandson of late Maharaj Kumar Karamjit Singh of Kapurthala, Hanut has no formal training, his early influences being the Cartier and Van Cleef and Arpels jewellery commissioned and owned by his family. Presenting a selection of his work and thoughts. A few months ago, I stumbled across an interesting Indian blog, Wearabout, that documents Indian street fashion, individual style and the work of 26 year old photographer Manou, who runs it. He has a good eye for colours and an ability to find something aesthetic in everything. Here are a few images from the blog. 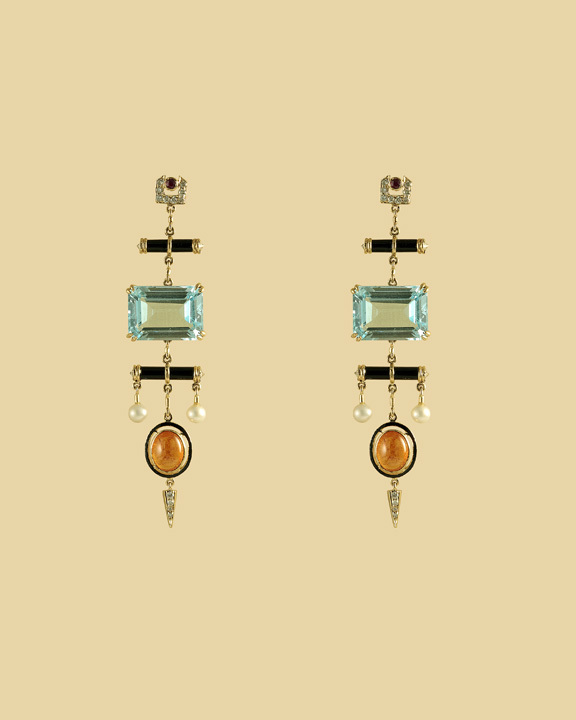 Puja Bhargava graduated in Accessory Design from NIFT, Delhi (1997) and is a certified Gemologist. This is an assorted collection of her jewelry. 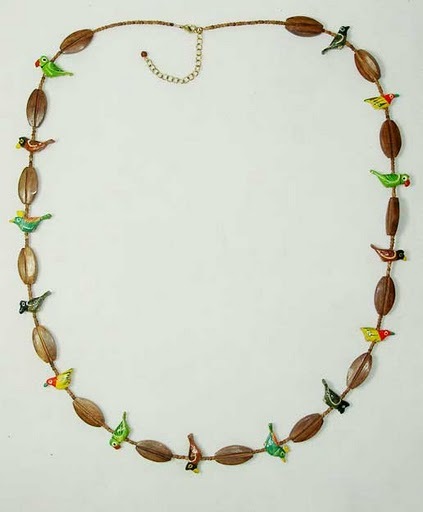 The string of parrots is my favourite of the lot. 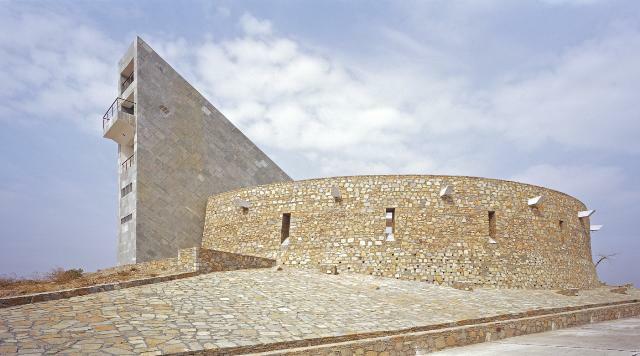 The Mewar Complex is dedicated to Rana Pratap (1540-1597), who fought for a free kingdom when numerous Rajput Kings were forming alliances with the Mughals. Being always at war, Rana Pratap didn’t have time to build anything in his name. The Rajasthan Tourism Development Corporation aims to redress that. Why do we make memorials? Perhaps we want to anchor a visual memory to a place, like we do with photographs in our wallets, so that its constant existence turns it immortal. But what determines the shape public memorials will take? The ones we see in India, Vijay Stamb, India Gate, Gateway of India, Victoria Memorial and around the world, the famed holocaust memorials, the Hiroshima memorial, the pyramids – their character is defined not just by their content or purpose, but also by the politics, belief and mindset of that time. Long before the Taj Mahal was a tourist attraction, it was a memorial that stood by the waters of the Yamuna, protected by its walls and nothing else. It was not a place to live in, a fortress to secure anything, it was a memory located somewhere, and by being there, it changed the view of the horizon, evoked a new meaning. Traditionally, memorials in Rajasthan were mostly chhatris (canopy) – elevated, dome-shaped pavilions which paid homage to the dead. The larger ones had multiple rooms and the interiors walls were at times decorated like those in Havelis. Located by the river or the road, these have over time become journey markers and reborn as community spaces for people to meet or spend time in. The Mewar Complex is a loose cluster of three main memorials – Yuddh Smarak, Vijay Smarak and Raj Tilak Sthal. Each commemorates a specific event, serving to narrate the story of Rana Pratap’s life in chapters. The Complex alters the desert landscape for those who pass by. What are we to make of them? How do they affect our interaction with the desert and the countless stories buried in the sand? Does a memorial commemorating Rana Pratap need to look like how he would have built it in war-torn feudal times, or how we see him in our democratic present? Does the past need to be represented as a mime or as an understanding? 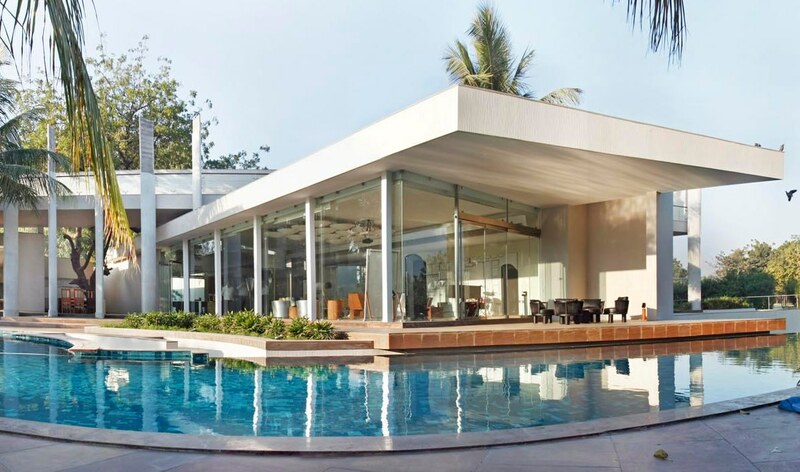 Much of this forms the conversation with one of the architects of the project, Meghal Arya. But first, a look at the Mewar Complex itself. 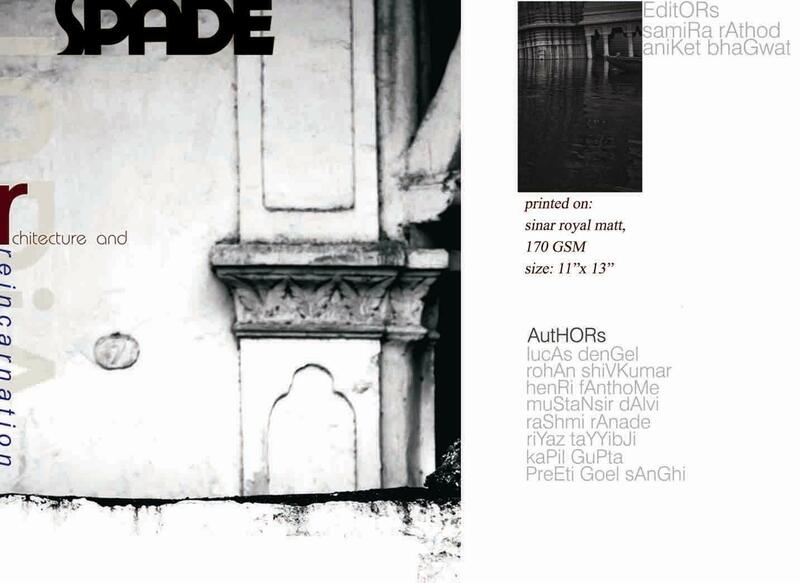 SPADE is a biannual journal that deliberates on architecture and design in India. Vol 1 was a treat to read as well as to look at. An absorbing, thought-provoking set of articles, extremely well-typeset, well-photographed. Written and put together by professionals in the field of architecture and design, this peer-driven journal has been so far made it to Vol. 2 thanks to the tenacity and sheer will of the editors and contributers. It features no ads and receives no external funding. And needless to say, requires all the support it can get. 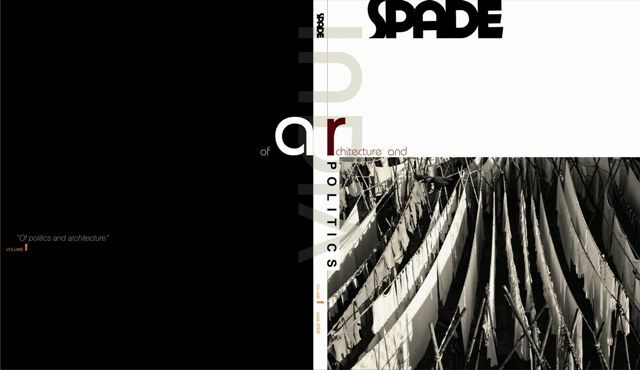 SPADE intends to persevere at being an egalitarian voice of the discerning architectural community in India. Journals such as these are precious in their intent and integrity – I urge you all to heartily support SPADE. Edited by Samira Rathod and Aniket Bhagwat. Contact spadeindia@gmail.com or call +91 22 24327249/24310395 or fax +91 22 2432 4349 for your special offer copy*. ‘Arna-Jharna’ means ‘forest’ and ‘spring’. 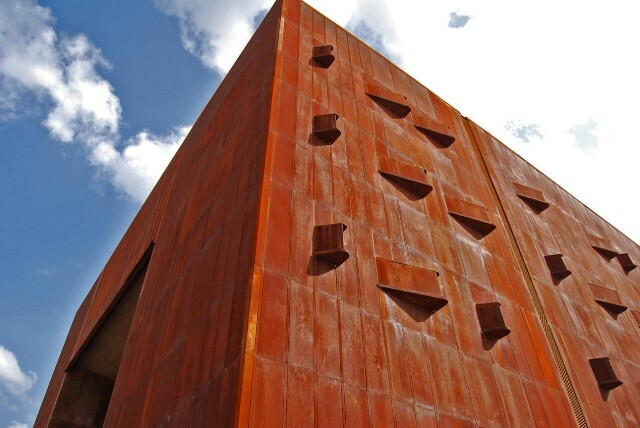 Unlike most museums where what is of value is encased inside, Arna Jharna includes the desert, its environment and its inhabitants as its exhibits. 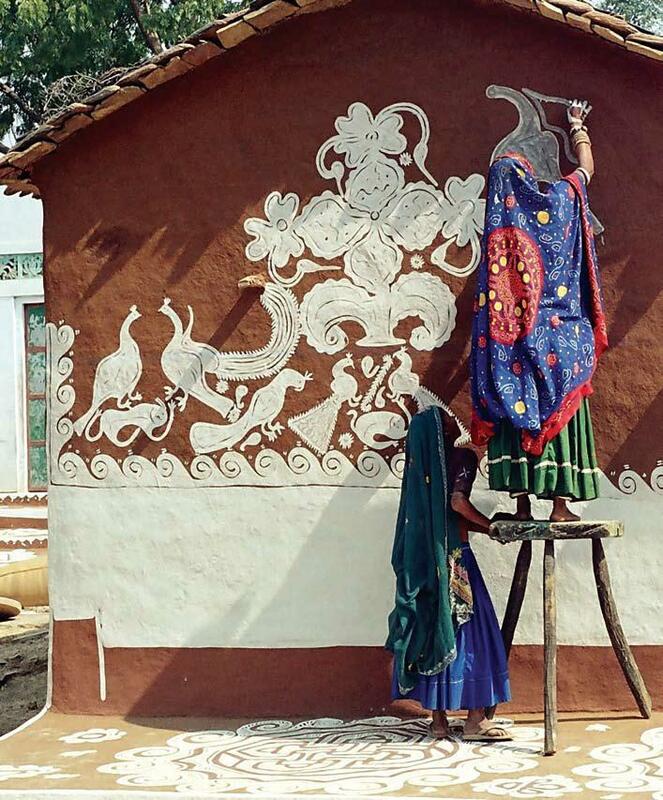 Created by the late Komal Kothari, one of India’s leading folklorists and oral historians, the Arna-Jharna Museum is an interactive learning experience linked to traditional knowledge systems. Anokhi, a brand that has worked for over 30 years to revive Rajashthan’s traditional techniques of block printing. Created by Faith Singh and J.P.`John’ Singh and now run by their son Pritam Singh, they develop products in specialised areas such as appliqué, embroidery, patchwork and bead work, which now constitutes a significant part of their product range. Together with garments – Indian and Western in design – home textiles, sarongs and accessories, Anokhi offers a diverse and colourful selection of products. I was arrested by the images. 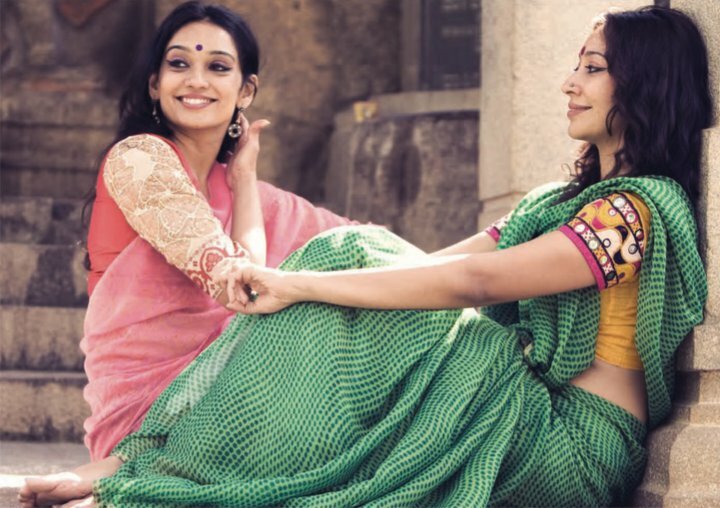 The colors and the contrast, the photography, the choice of Indian classical dancers as models, the old world feel and a body language of so much comfort, like we chanced upon two friends enjoying a quiet afternoon and kept watching them because it was poetic. I am happy to present, Calantha Wardrobe’s Vintage Sari collection. The book has two dust jackets. 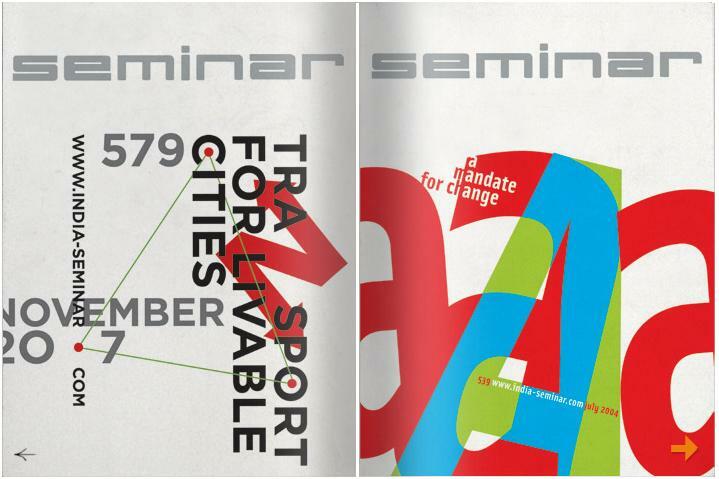 Typographica and Seminar: On 17th Feb, W+K Exp, Delhi will showcase the world of Seminar Magazine, India’s own groundbreaking testament to the power of the word. Celebrated over its 50 years for bringing “opposing viewpoints within the covers of a single magazine”, this exhibition does not delve into the content of the magzine, rather it focuses on the magazine’s unequivocal support of typography – Seminar has appeared every month since its inception with a purely typographic cover. Curated by its current designer, Akila Seshasayee, and owner editor Malvika Singh, the exhibition will present the best covers from 50 years of the magazine. Also showing, is Typographica, the first exhibition of the design journal of the same name. Groundbreaking when first published in 1949 and now considered legendary, Typographica showcased the very best in worldwide visual arts. More details on www.wkexp.com Picture of cover courtesy Sesh Design. 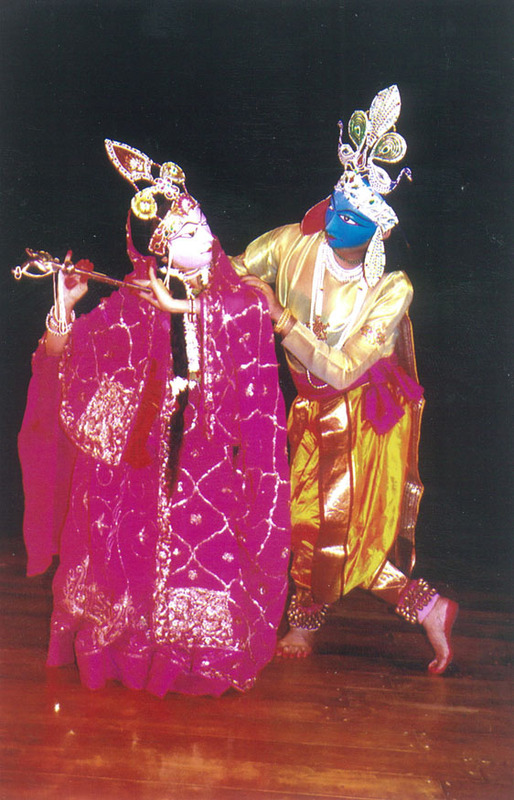 Chhau is a dance-drama form prevalent in Eastern India. There are three major forms of Chhau, each known by its geographic location. These are Purulia Chhau of West Bengal, Mayurbhanj Chhau of Orissa and Seraikella Chhau of Bihar (now Jharkhand). Although they are all known as Chhau, their styles differ considerably in terms of their cultural background and their dance characteristics. The festival will feature some of the most outstanding exponents representing each of the three traditions. Keli Festival, scheduled on the 28th, 29th and 30th January 2010 at YB Chavan and Prithvi Theatre, will feature the different traditions of Chhau Dance. Free Passes at Rhythm House & Giri stores, Matunga, three days prior to the festival. Mail Mr. Ramachandran, ramk.keli(at)gmail(dot)com, for further details. “Artistically, terracotta is the medium where many ideas were first experimented upon before they were committed to stone. At the same time, Many of these artefacts were used in ephemeral rituals and then discarded; their study thus permits an insight into those aspects of religious worship little studied in a field where the emphasis has been on monuments of more durable material. Inexpensive and easily replaced, terracottas are by their very nature a source for a unique telling of a more quotidian history, reflective of religious cults worshipped in peoples’ homes rather than the grand stone temples. Conducted by Naman.P.Ahuja, Associate Professor of Ancient Indian Art & Architecture at JNU. Registration opens 25th january, public fee: Rs 1000, MU student fee: Rs 250, Limited seating. Jnanapravha organises courses and talks on a regular basis. Read more about them on their site. More information on Terracota research is available here. Image courtesy Jnanapravha. 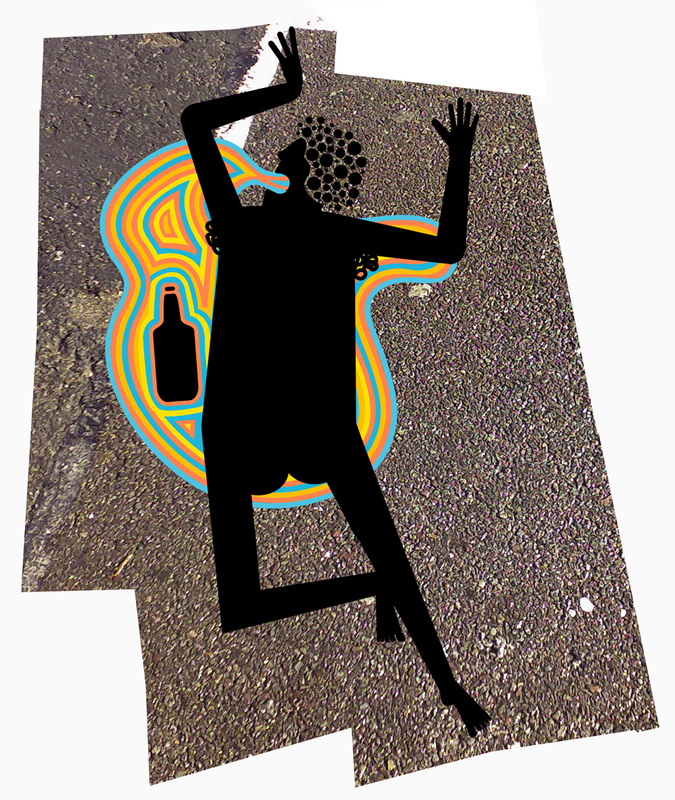 Aakash Nihalani is a Brooklyn based artist who works with the medium of tape in public places around New York. 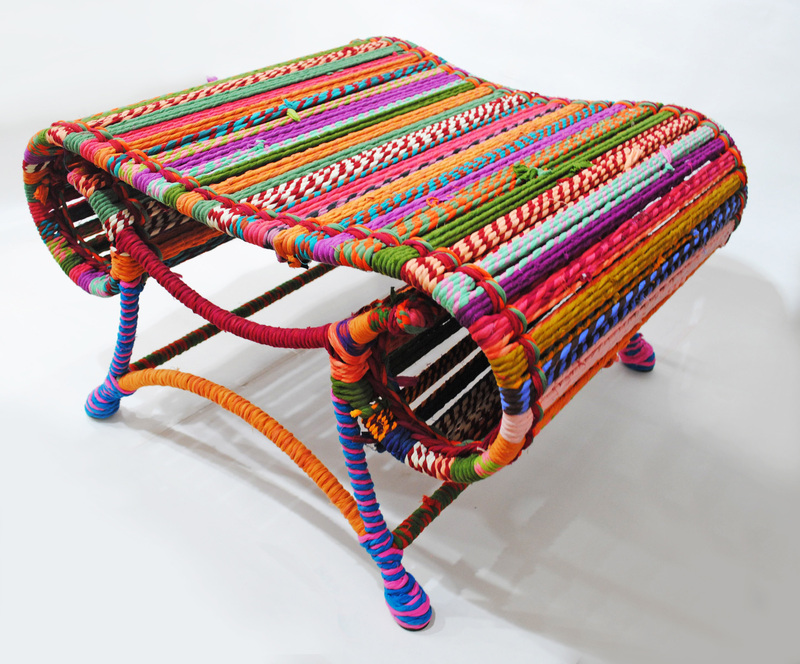 Bikram Mittra’s Weave Stool is constructed out of a single laminated member that is repeated to create a ‘weave’ effect. By Lotus Design. I saw this a long time ago on Ambrish’s laptop and have looked forward to featuring it since. The simple use of paper and colours brings back memories of the paper windmill sellers and makes the mela so festive. What is good design? This gmail inbox I’m writing in is. The keyboard I’m typing on isn’t. My body is. A waterfall is. An Indian mud pot with a tap attached to it is. None pretend to be what they are not. And work wholeheartedly towards being purposeful with intent to be of use. Must all good design be of use? I would say yes. Or it isn’t design. It is art. Created to please, to extract emotions perhaps, and to make a point. A luxury. A pursuit for creative minds. Beautiful. Arresting. But not design in itself. Canvas is good design. Is non porous, resistant to wear and tear and is strong and easily molded into anything. The art on it may or not be depending on what purpose it seeks to serve, what its intent is – the toothbrush vs. the Mona Lisa. 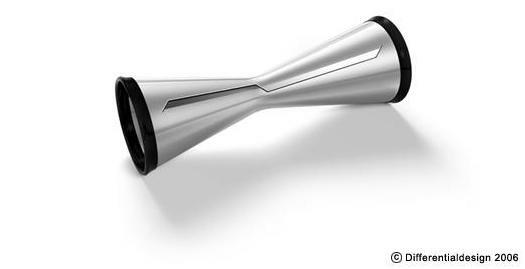 I think the toothbrush is better design. But I think a stick of Neem is even better. It isn’t wasteful. Does the same job and more and is sensitive to its surroundings. Comb vs. hands. Hands are better. Multi-tasking and a sustainable resource. If the world were to maximise what is already given by nature, our bodies included, than we would require very few new things to be designed all over again. Often when we design, we mimic, and dress it up, like fireworks on a starry night, only it’s a show, and has no real substance, and often no improvement over the master design. The master design. Good design is a quest for the master design. The unshakeable mould. 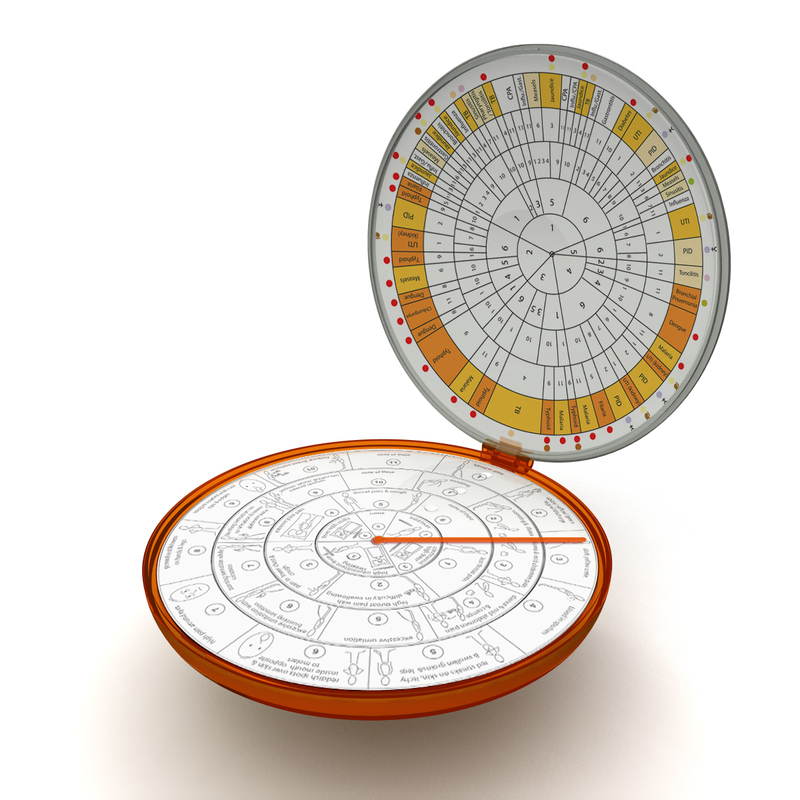 The way to get somewhere in the most efficient effective, sensitive, insightful way possible. Good design is like a good proverb. It survives generations and is important because it is useful. No one praises proverbs for the reasons they do poetry. Proverbs are storehouses of information and experience; whether they please or do not please, they rarely fail to be effective. So too of good design. If it’s all so simple, then why is so difficult to comprehend. Why do we confuse decoration for design? Perhaps because we are not geared to understand simple. Because we understand complex things like art far more easily than we do design. We look and say, ah pretty, it moved me, it made me cry. But ignore the most perfect designs like step wells and the thumb. Art is open to view points, and therefore more democratic, such that it allows everyone an interpretation. A tree has no interpretation. It just is. It exists in variations of the same design. In various types and forms. Roots. trunk. Leaves. fruits. Seeds. You cannot say you hate good design. Because its nature of being purposeful makes it immune to judgement. You could hate good art though. Like a salt and peppershaker. All have holes. Though the shapes and forms change. The perfect design was the holes. Everything else is dressing. The best way to judge/measure/evaluate design is to put it to use, see what like it has been done before, and what new has been explored in this version, for it will or is usually a version, see how sensitive it is to the environment it is created for. Design is negative space – for it is not an end in itself. It exists to fulfill a need. The moment you recognise the negative space, you start to see the real outlines of design. And then your eyes will never be muddled with mere decoration again. 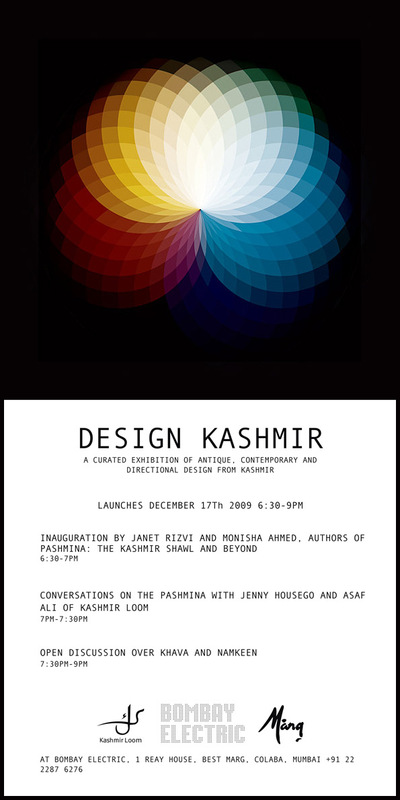 > Part of a Religare Arts Initiative exhibition held in Jan 2009. Tara Books has a new release. DO! 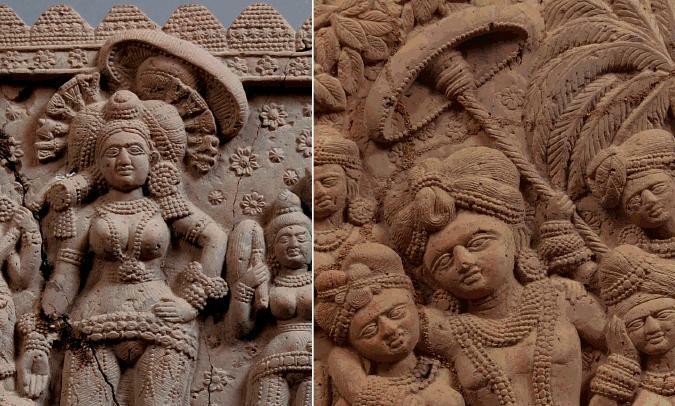 It’s a wonderful way to integrate Indian art with education without making it too complicated. Here are some pages from the book. M/s Prabhakar B. Bhagwat founded LEAF (Landscape Environment Advancement Foundation) to engage in research and publication in the area of landscape design and environmental planning. It supports research programs of varying durations every year. The first of which is “Seeing the City” by Parin Shah, a student of Landscape Architecture. Parin’s study on ‘Seeing the City’ is a subject close to my heart, that I believe requires plenty of discussion and action. There are increasingly no spaces one can spend time in that do not require one to spend money in. India’s idea of development is distorted – with no celebration or extension of the way our society grew, instead a blind embrace of the western – measured by shopping malls and hypermarts housing international brands and sales rather than the creation or continuence of chowk and maidaan like nourishing public spaces. Found Roshnee Desai on Deviant. It led me to her blog and her Batoota cushions. They were quirky and an observation of the behaviour around us. Roshnee says: “They’re at Chowpatty. They’re on bikes. They’re hiding under behind trees. They’re where you least expect them. They sit at Bandstand. They stand at Banstand.Thats one thing they have in common. 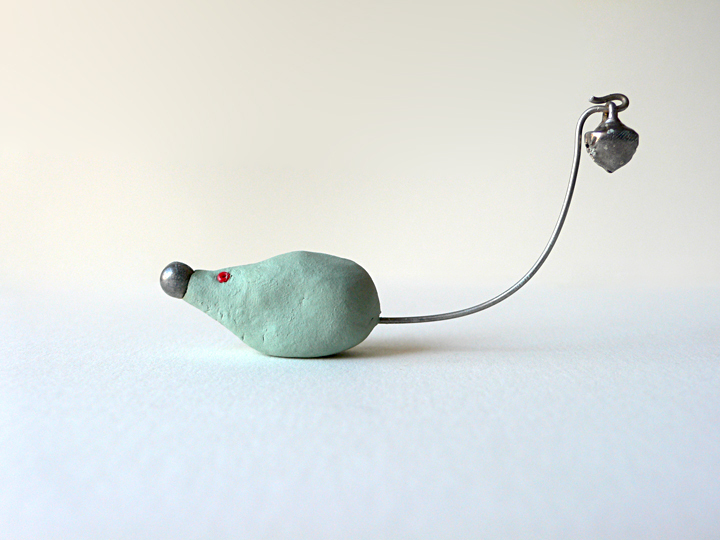 The incessant cat-mouse chase of the coo-ers and the shoo-ers. PDA. Police Dandaa Abruption. Coo Shun. Shun the coo. You can run you can hide but you cant escape my love. Sanjay Patel is an animator and storyboard artist at Pixar. Came across his website and work GheeHappy on Pardon My Hindi. Tiny happy illustrations of Indian Gods, very child- friendly. > More of Sanjay Patel’s work on his site. 1 dress. 365 days. I found The Uniform Project via the wonderful Sub Studio blog. What began as a sustainable fashion project turned into an ingenious fund raising campaign – the billboard being the creator herself. 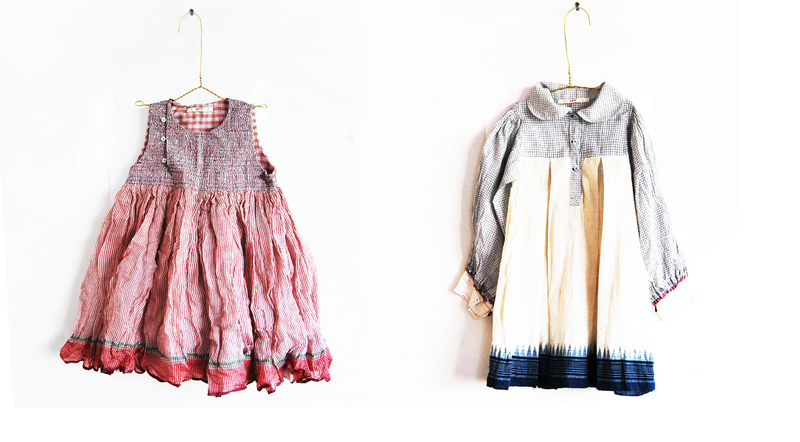 Sheena Matheiken uses her quirky sense of style to wear the same tunic again and again, and will do so for a year. Proceeds of the Uniform Project will go to fund school uniforms and educational necessities for children living in slums in India. The exercise is fun and challenging as well. Each ensemble has a name, visitors can rate its fashion quotient, and there’s also the curiosity of what more could she possibly think of! We all want to do good, and often that stays in our mind, because it seems like to do good, we need to quit our jobs and wear cotton kurtas and live in a village. But Sheena and her uniform designer Eliza have shown that we could do a lot, right where we are, just by using our ingenuity. I support, wholeheartedly. Dakshayini Gowda is a remarkable woman. And what I have here is just a thread from the ingenuous fabric she’s weaving for society. Her efforts come together in ‘Sanchali’ which she set up to work towards two ends; to create avenues for financial dependence for rural women, and to demystify history for children by creating musuems they could touch, interact with, even help set up, in their own schools. 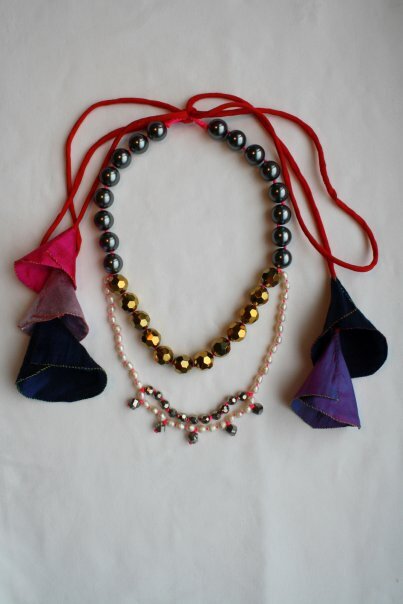 One of the works that came out of her organisation Sanchali’s work with women in Karnataka was ‘Varanasi’ – a collection of jewelry recycled from scrap Banarasi material. The result is so beautiful and elegant that it makes me want to own an entire jewelry box of them. The Ashima – Leena store is subtle, so much so that you might not notice anything but the clothes. But there are simple details that charmed me. The embedded designs that melt the cement floor as they vein out from the logo, the suspended silent busts that the clothes float on, the gold that adds richness to all the raw texture around. Photographer Bharat Sikka’s Indian Men is a fascinating study of urban men from the sub-continent. I could imagine someone I’ve met, known or seen in each one of these photographs. Presenting his stirring series. Stumbled upon Moyna Singh’s work in Rivaaj Magazine. Liked her bags, especially the tomato red sequins, the emerald sequins and the blue and white and pink beaded one. Clicked through to her site and found it teeming with pages from Elle, Cosmo and Vogue where her bags have been featured. Here are some of my favourites from her collection. 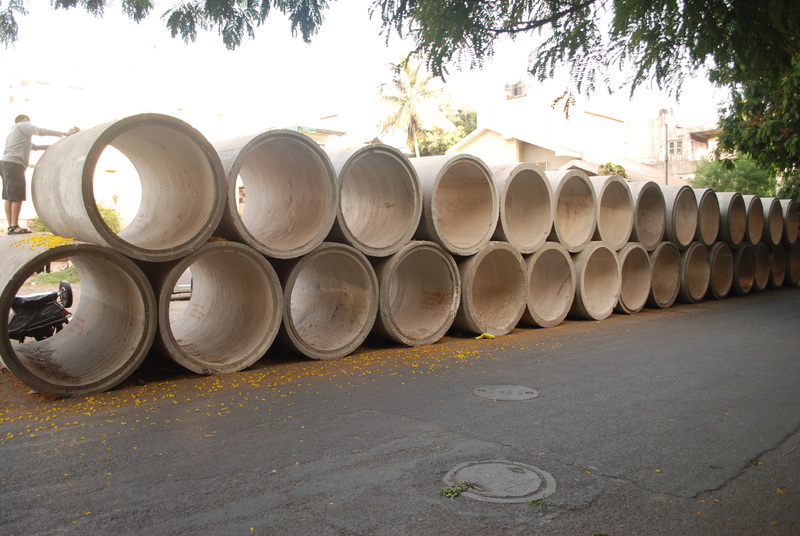 Bhavik wrote to me asking ‘how come indian designs are not reflected in our highways and the environment? Am I missing something here?’ Felt that it was time to share the idea of Jugaad or Indian improvisation that is so ubiquitous. Bijoy Jain brought it up in his interview, saying that it’s something that fascinates him; his studio has taken several pictures of it as part of an ongoing research on Indian ingenuinity. We’ll never know who designed these, or what the reason for doing it this way was, just that it exists, and if we stop to stare, we’ll realise, it’s a great piece of design. And it’s been right under our noses all this time. 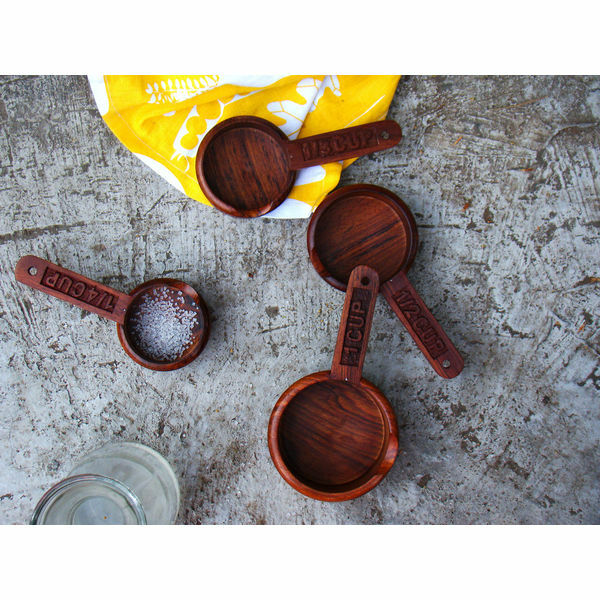 The Design Temple line of products are cleaned-lined and modern in design, but draw their inspiration from Indian myth, history and local nuances. 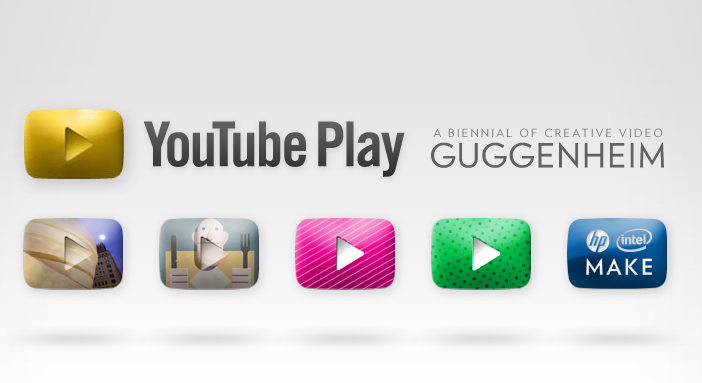 There is a quirky, humurous take in each that doesn’t affect the functionality of the object. Here are some that caught my eye. Cheerharan Toilet Paper:This hand-grabbing toilet paper is inspired by the evil king Duryodhana who ordered “Cheerharan” or stripping of the saree, in a famous Indian epic from the 4th century B.C. That saree never came to an end, this toilet paper will. Set of 2 rolls. Memories of childhood are often about simple things; streets and lanes you grew up in, friends you spent time with and the games you played. Diptanshu Roy belongs to a joint family, grew up with 15 odd cousins living in the same house. As kids, they spent hours together, playing with simple toys, and that made them happy. Today, he says, it’s hard to come across kids playing with these toys. In these pictures, he captures the nostalgia of some simple and playful Indian games from his childhood. 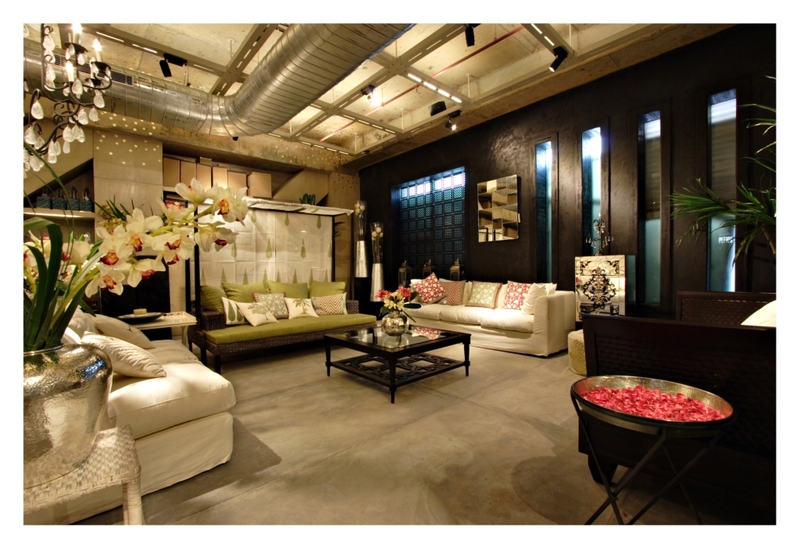 Presenting the first pictures of the new Rohit Bal Store, at Emporio in New Delhi. The store evokes a sense of grungy grandeur, and the gold and mirror and jaali work seem refined and edgy simultaneously. I enjoyed the way the store is filled with distractions, but the garments are still the focus of attention. 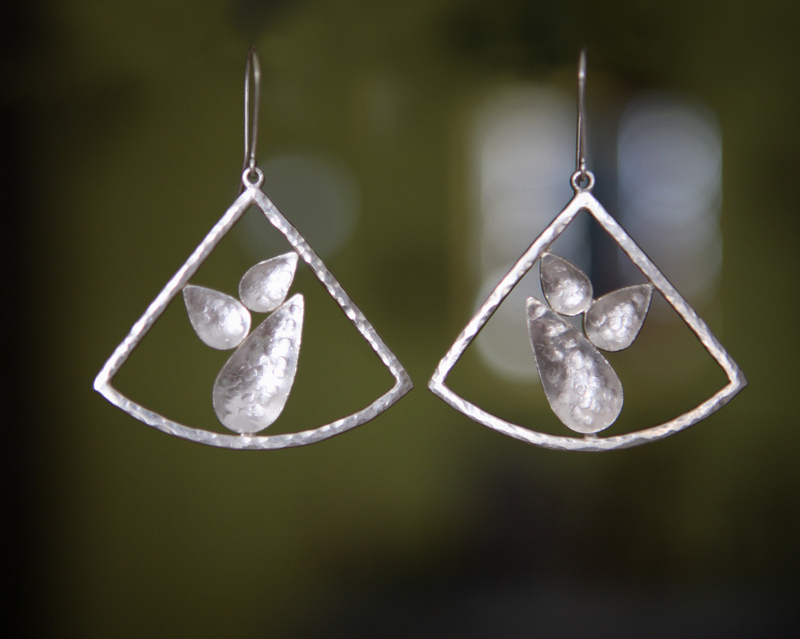 Purvi recently graduated with an MA in jewellery design from the John Cass Dept (London Metropolitan University). These are just a couple of pieces from a collection she’s putting together. Loved them. Plenty of potential. 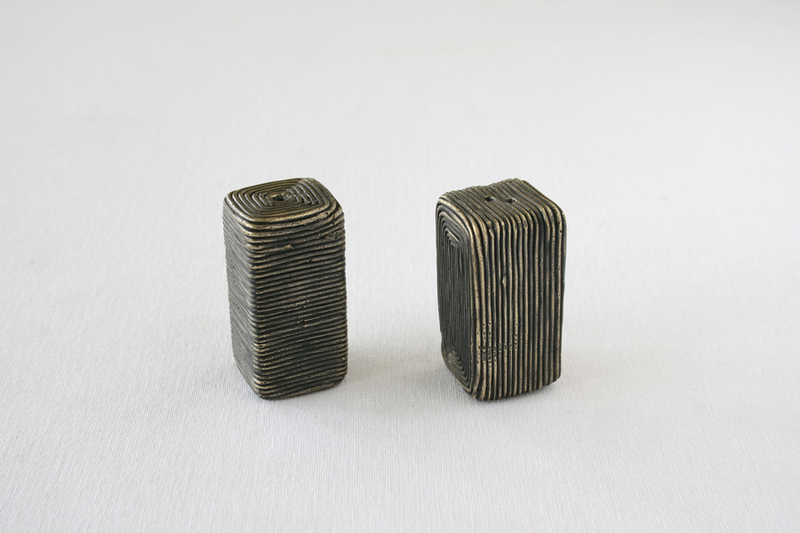 Bijoy Jain’s works remind me of a refuge, a sanctuary. Almost as if he was recreating spaces he finds comfort in – an underlying wish for peace. I visited his office and had a conversation over good coffee. About his projects, architecture, even why the interiors of all his projects were so bare; no art on the walls, simple to the point of being austere. I was told they were shot before the owners moved in with their furniture and aesthetics. Clearly, there is great importance he accords to his work, his people and his peace. Presenting a selection of his works and thoughts. I stumbled upon Bombay Electric a long time ago, while waiting for a friend to turn up. The light pole outside had a stunning face, like a bohemian 70 s star, with a bindi and high hair and the signage did justice to the name. I walked in, past the leisurely courtyard into the white brightly lit space. The interesting non-interfering decor aside, I was struck by the individuality the clothes had – they were quirky, unique, had a distinct sense of style, and were unlike the usual boutique picks. The merchandise was progressive, spunky and for people who knew themselves. I picked a book on matchboxes and walked out flagging many things I’d like to come back for. 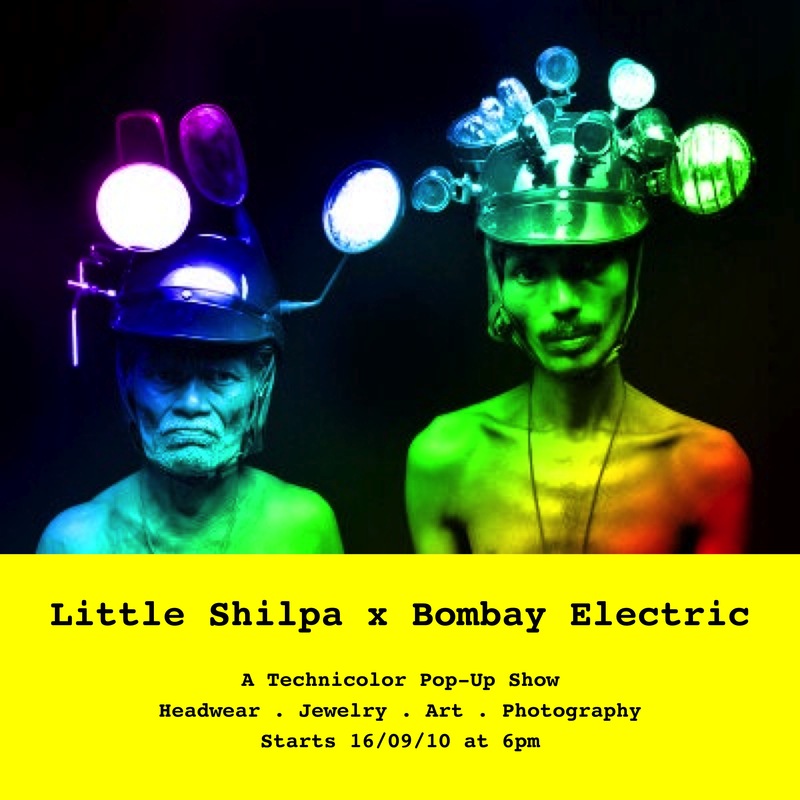 Featuring Priya Kishore’s sizzling Bombay Electric. I stumbled upon Bhuri Bai’s work on Hervé Perdriolle’s blog and was fascinated by her imagination and craft. Found the interesting works of Jangarh Singh Shyam and Jivya Soma Mashe as well. Presenting all three. A photographer by interest and instinct rather than by profession, Srikanth has a great eye for subjects and situations. I have three of his prints hanging on my wall at home and am featuring many more here. A friend sent me a link to Mann Singh’s work. 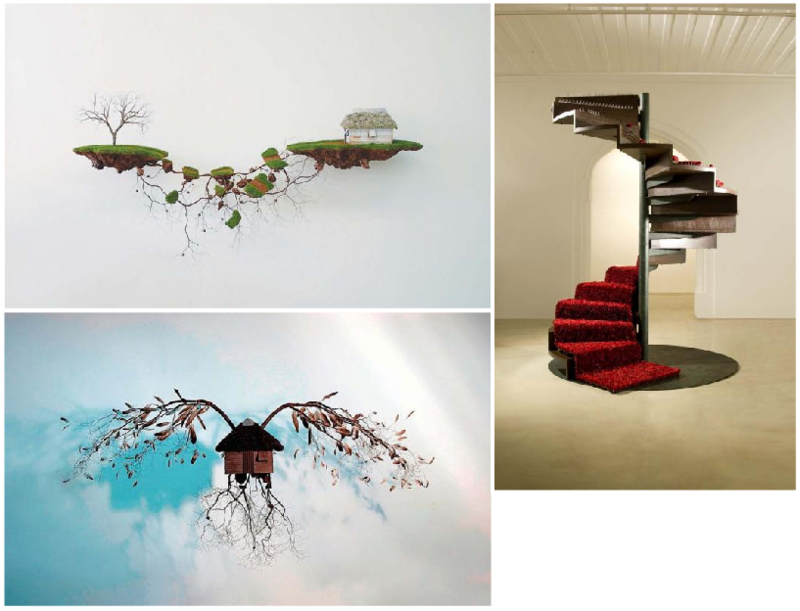 He works on varied things from lights to furniture to accessories and most of his work has a poetic bent. Featuring a few of his explorations. The first thing that strikes you about Samira is that she’s extremely passionate. I met her at the opening of the Devi Arts Foundation, in the midst of a sandstorm, her hair flying as wildly as her hands, as she shared her thoughts on modern Indian Architecture and design criticism or rather the lack if it. I got back to Mumbai and saw her work. It was as spirited as she was. Her windows were welcoming, her buildings had a body language. I had reservations about her furniture, but the more I look at them, I more I appreciate their individuality and enjoy their original aesthetic. 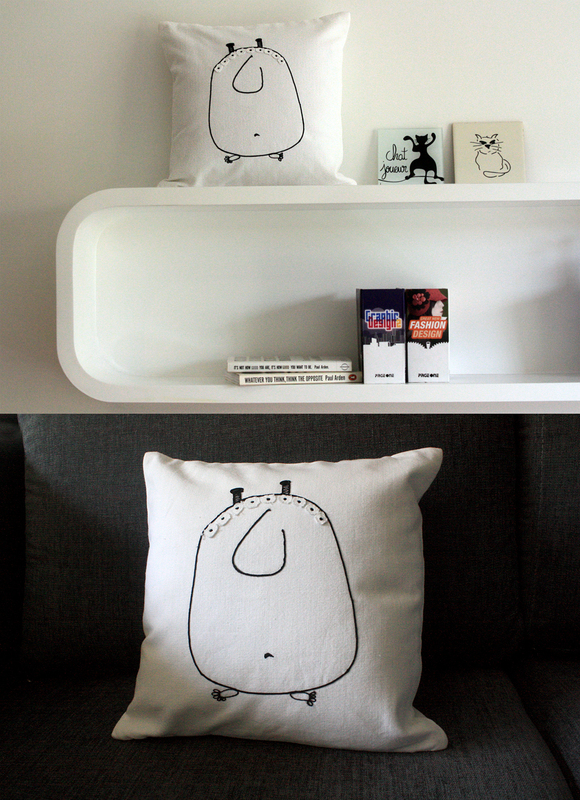 Architect, Interior Designer, Furniture designer, Editor, quirky lady, here is a peek into Samira’s work and her mind. 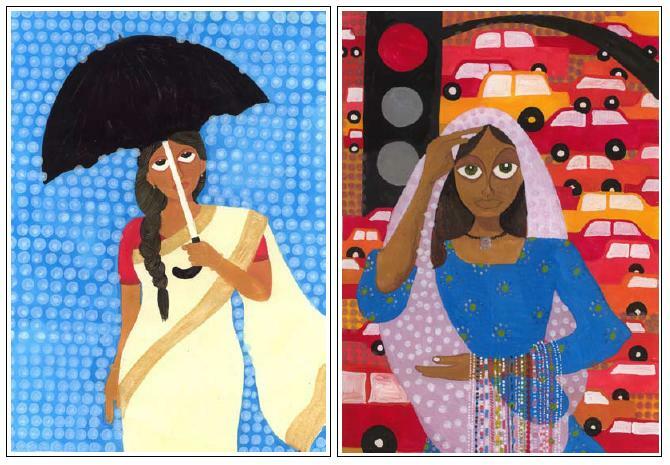 Aarohi Singh is a self taught artist. She paints in Oil, Acrylics, Watercolor, Pastels and works on Paper, Canvas, Metal, Cardboard, Wood, Fabric. Ambika from Little by Little(lovely girl, much potential) mentioned her. So I checked her website. I like what Aarohi’s done with the trunk and chair and the kettle. Her paintings though didn’t make it to the list or catch my eye, except a series of cows which was interesting. View the entire campaign here. 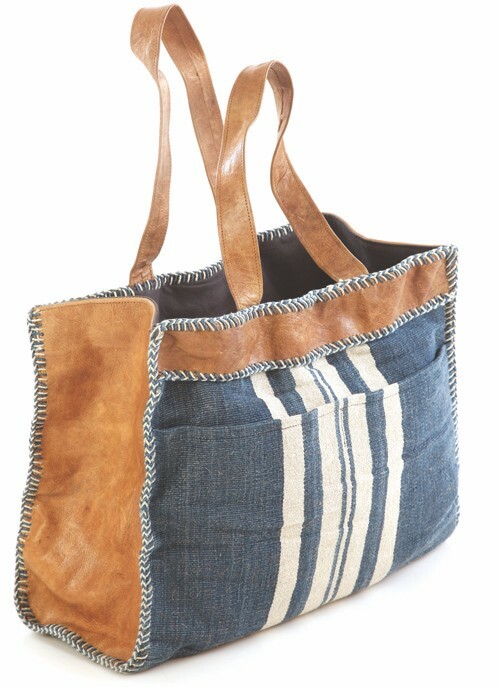 Tara was my first feature on Indian By Design. I was fascinated by the handmade children’s books they published. My favourite being The Night Life of Trees. The artists from Gond – Bhajju Shyam, Durga Bai and Ram Singh Urvet – were a revelation. A collective of writers based in Chennai, Tara works with international artists and writers as well as tribal artists, oral storytellers, street and billboard painters. Here we are, in conversation, with Gita Wolf, founder of Tara. Also featuring, a video on how Tara makes their handmade books. 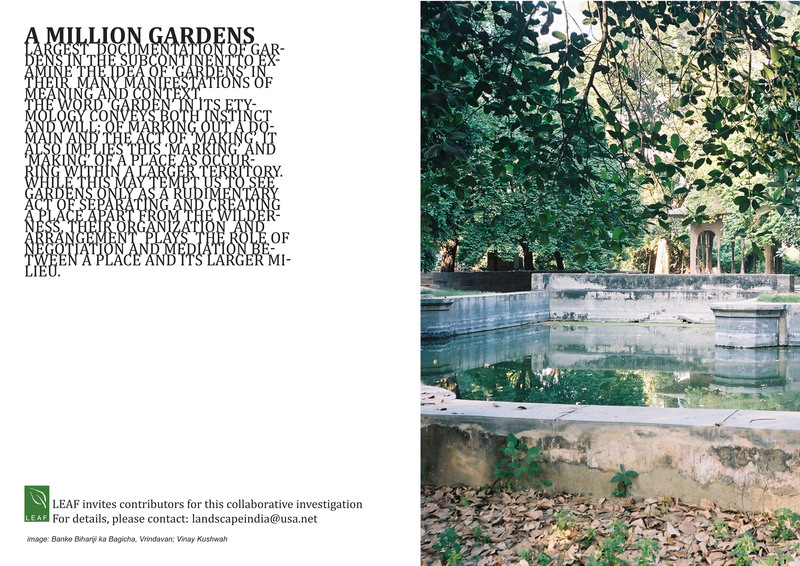 I came across Zubin Pastakia’s work in the Spade Journal. His study of Mumbai was refreshing, and refrained from talking of its old charm or it’s rushed populace, but seemed to focus on silent, perhaps unconscious conversations a city’s built strucures have with those who live in it or visit it. His work on Cinema Halls is alive. Like a commentary in the present, of things happening now. It does not attempt to romanticise their existence and leaves the viewers to make stories of it. 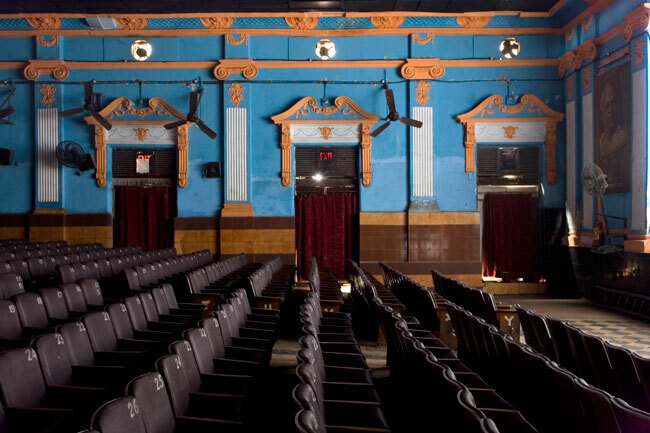 Featured, The Cinemas Project and Built Landscape. 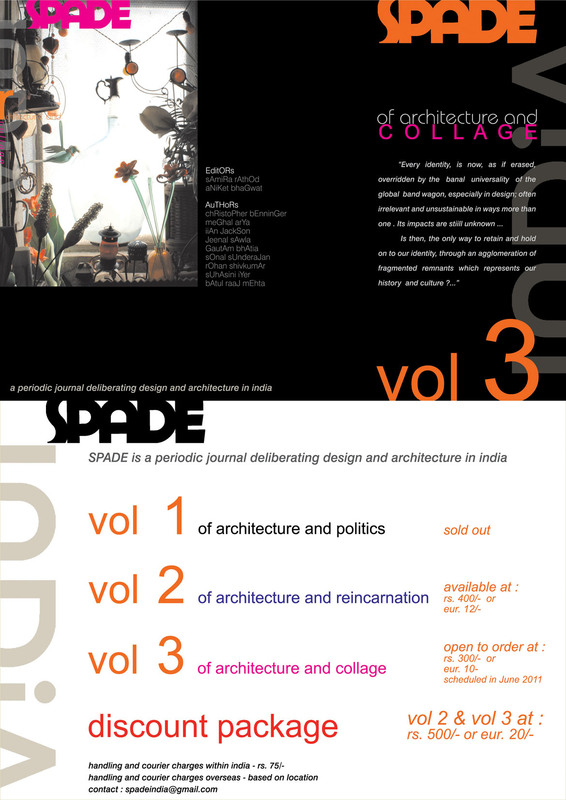 Spade is a biannual journal dedicated to Indian Architecural Design. My first reaction when I opened the large courier Editor Samira Rathod mailed across was to its generous proportions. It was beautifully typeset, had great photography, no ads and ample words which promised heavy reading (and sitting in shifting positions having its large pages curl over my hands). A design representation for ‘Can anything be beautiful?’. Created for W+K SIDE in London, by Latheesh Lakshman who emphatically believed yes. This is his series – India, everyday life. IndianByDesign:Can one clearly distinguish between art and what is not art, today? 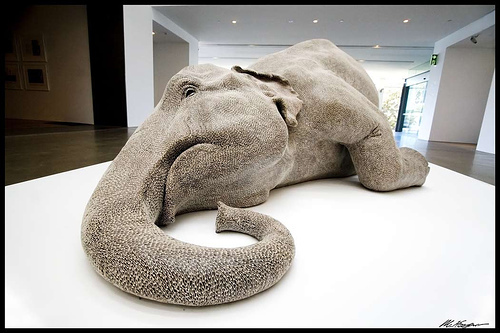 Anupam Poddar: I think it is still easy to tell what is ‘art’- the sanctioned and sanctified object. It is not as if we have moved much beyond that system of objects called ‘art’ as much as the system itself has become more inclusive, it’s modes of operation still quite the same… it has become sharper and more cunning though. On a completely personal note, I am often trying to find a continuum between art and architecture. Kavita and Shami gifted me a Salman Khan cushion cover, hand-painted by a hoarding artist. 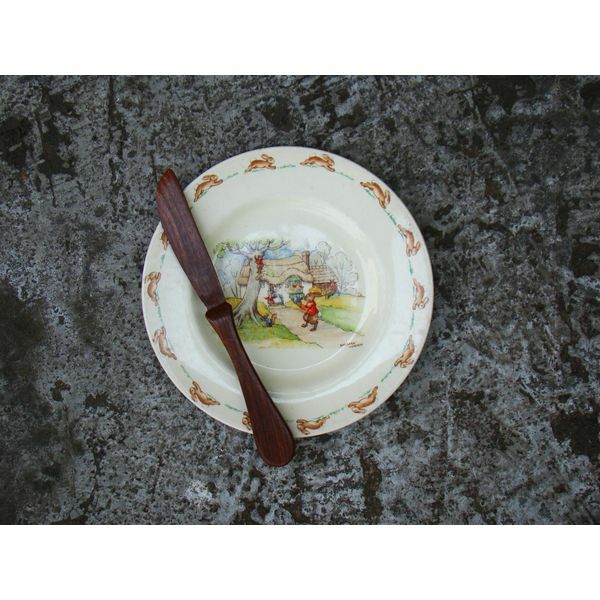 It was quirky and very kitsch, and my introduction to Varsha Sharma’s work. 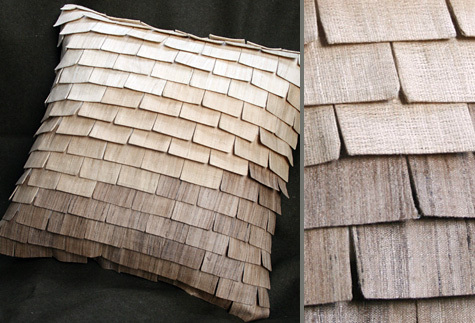 But after seeing more of what she does, I am partial to her weaves and threads and fabrics. 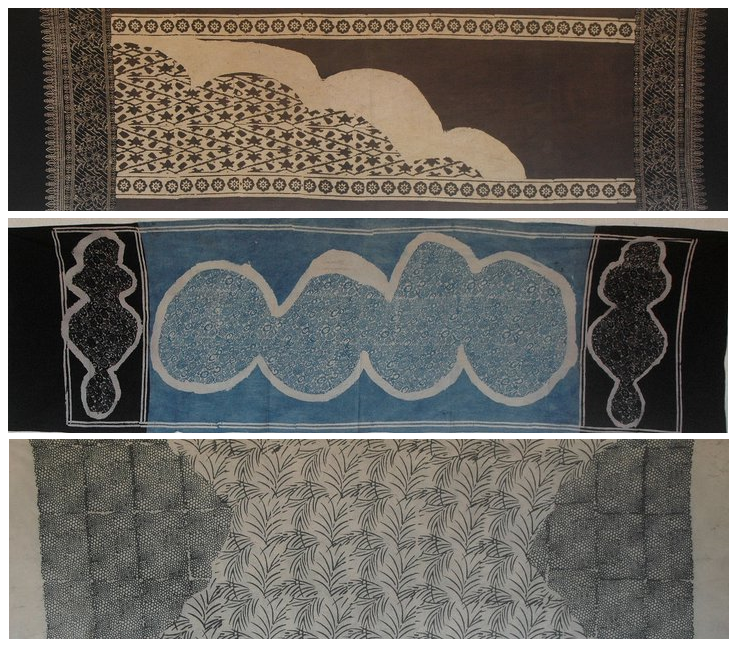 A graduate in Textile Design from NID, she started Anek Taanka a couple of years ago. Anek Taanka means infinite stitches. And her work is filled with it. She says “my challenge is to create pieces of textile that could inspire spaces to be designed around them rather than the other way around.” It is a big promise to make and I do hope that she does so, it would be wonderful to experience such a thing. Here are some of my picks of her work. The opening of Lekha and Anupam Poddar’s new not-for-profit art space would preempt a surfeit of words on artists and collections. But I choose to speak first of their latest commissioned work – the Sirpur Mills Building. For it is as much art as all that it holds or will hold within it. Infomen is an Information and graphic design firm jointly run by designers Aman Khanna and Carlos Coelho. It operates from their studios in New Delhi and London. 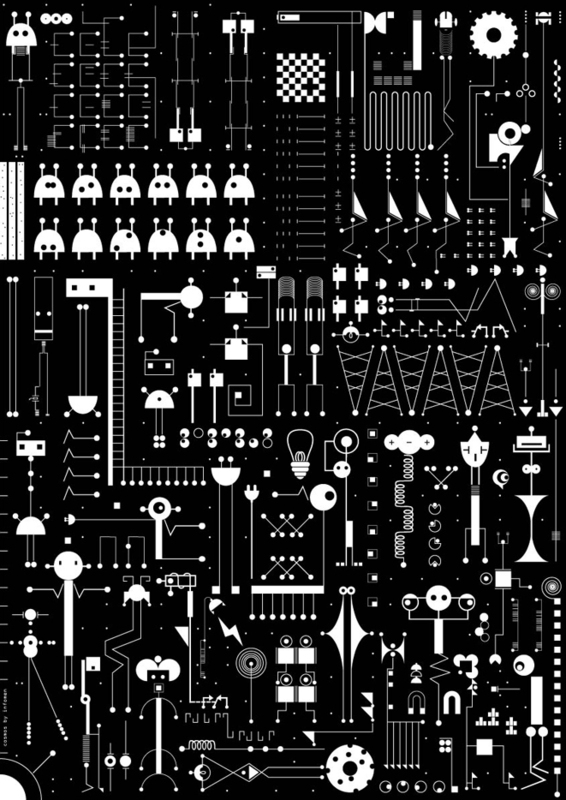 Here’s a series of eye-catching posters and bags designed by them, that’s on sale, on their site. Speaking Stones, 1998 by NN Rimzon . Now showing at Kashi Art Gallery as part of the ONLY ONE series. Occupying Silence by Devashish Makhija. At Gallery Kanishkas, Calcutta. From 21 August to 10 September 2008. 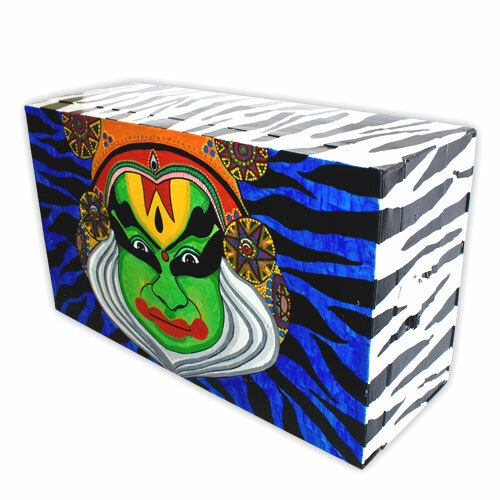 Write to nakedindianfakir (at) gmail (dot) com to buy/preview the catalog. I enjoyed the beautifully written notes from the past that inspired his works. 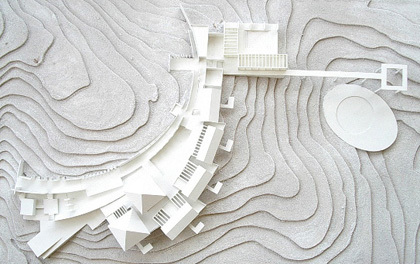 I featured Aniket Bhagwat last month, and there has been considerable interest in his work; landscape and architecture. 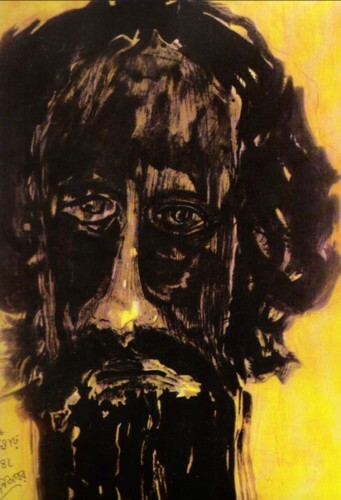 So I got in touch with him (thanks to dear friend Ambrish), and dug deeper into his works and thoughts. Here’s Aniket Bhagwat, talking about his projects, meandering into thoughts on architecture, Spade – an Indian architectural design magazine published with peers, and finally wrapping up in a discussion on enduring design. Pardon My Hindi was started by Chiraag Bhakta back in 2002. 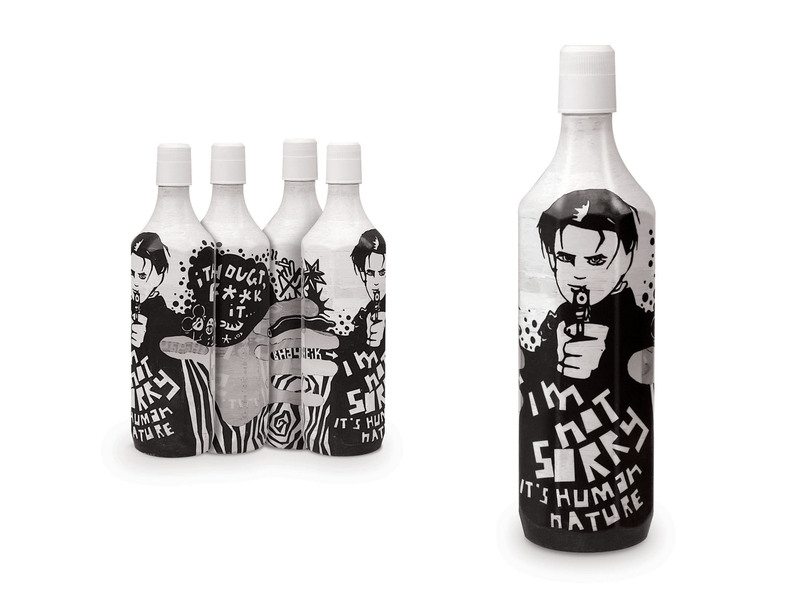 Currently all the products in the PMH store are designed by him as well. He adds, ‘PMH is always looking for people to contribute an idea, whether a product, a graphic or a contribution to the e-zine (What’s the Samachar, that comes out 4 times a year). PMH is based in Brooklyn but has an online store where you can see everything on offer. 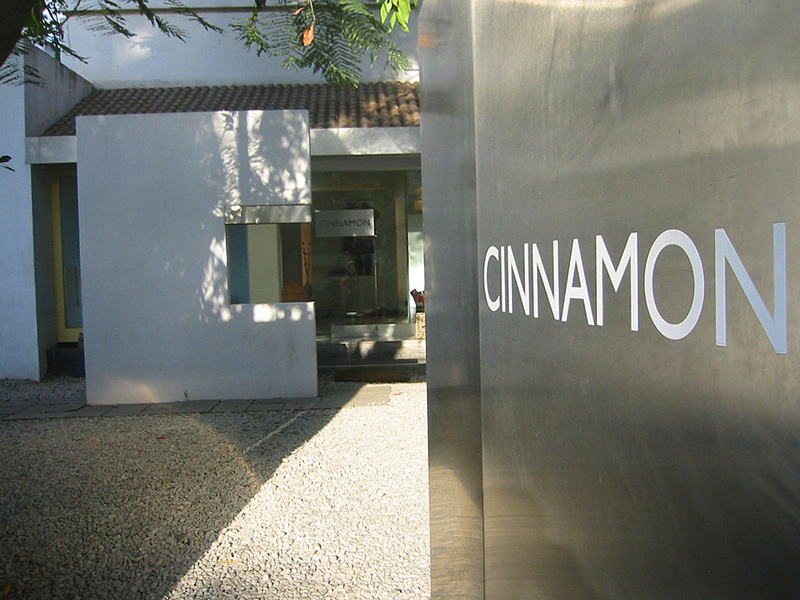 I remember the first time I walked past the giant metal doorway, smooth pebbles curving into my flats, and experiencing Cinnamon. There was an air of quiet elegance about it. Along with a light-filled positivity that made you want to linger. Quirky artifacts, accessories and clothes were artistically placed around the 2000 sqft space, each handpicked for character and design. I remember picking quaint wooden bees on sticks, newspaper roll containers, Jason Cherian skirts, Michael Aram silver, glass fish. Today, I feature it with much nostalgia and hope that it remains as relevant to tomorrow as it was for yesterday. Here’s Radhika Poddar, owner and aesthetic guardian of this lovely place, in an informal chat about her love and longing for Cinnamon. Paul has been a journalist, socio-cartoonist, set designer and electrical engineer prior to being a practicing product designer. 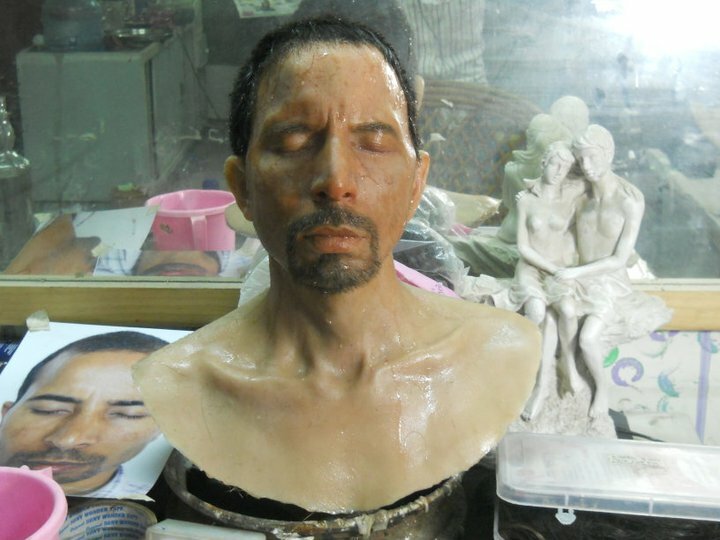 He is married and lives with his wife, a toy designer, in Noida. 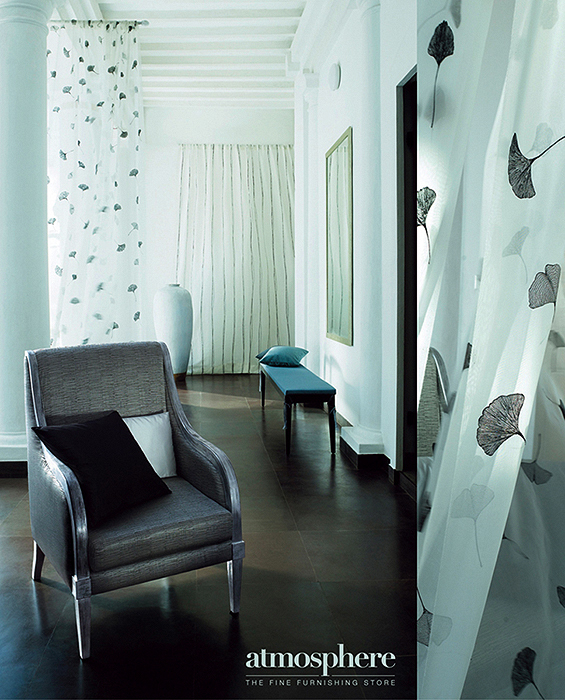 Conceptualised in 2007, Memories of a Butterfly specializes in Bead Curtains and Murals. 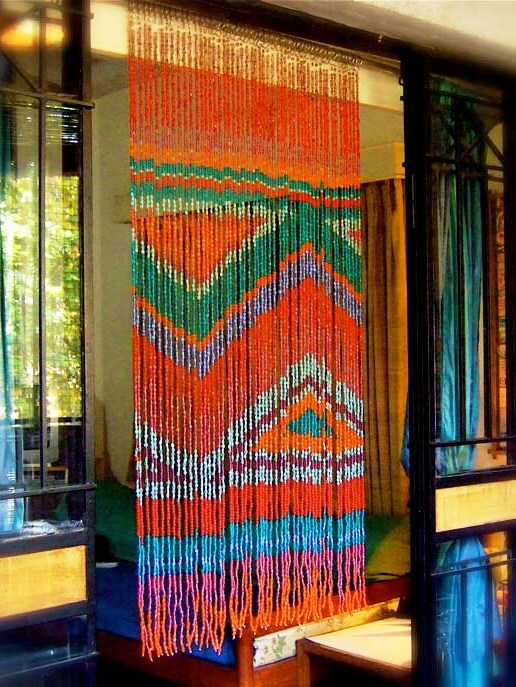 They say ‘Bead Curtains not only allow for a play with color, light and texture, but also enable us to create natural connectors between spaces. They have the ability to create privacy without disconnecting an area from the rest of the house, office, bar or restaurant’. 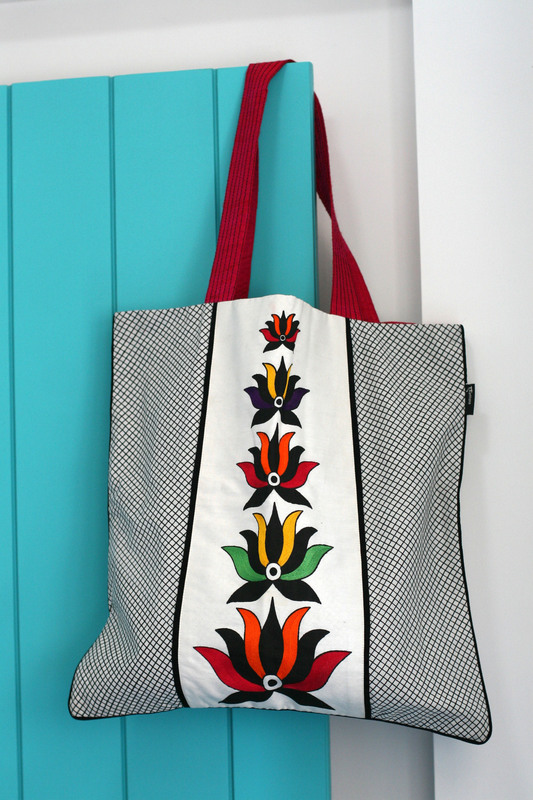 I like their experiments with patterns, especially the Ikkat and graphics. 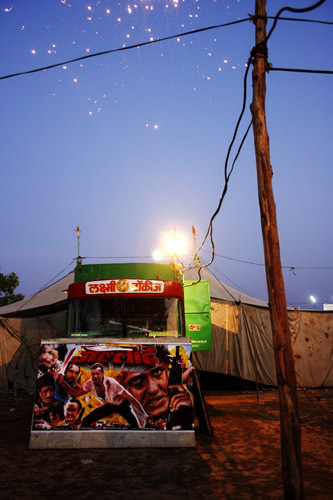 Apart from curtains, MOAB also has box lamps, hanging lamps and candle stands with intricate bead work. We plant trees for free to heal the earth. As of now, we do this in Bangalore only. So if you know any place where a tree can take root and flourish, let us know. We’ll do the rest. You’re welcome to join us as a volunteer or a “tree planting member” (one who gives 100 rupees to plant a tree, every month). We also plant trees as a living tribute to your birthday, anniversary, or any other day that you want us to. If you like what we do, then feel free to spread the good word about our work. Speak to your friends, family, your company’s CSR department..do whatever it takes to spread some greenery and heal the earth. 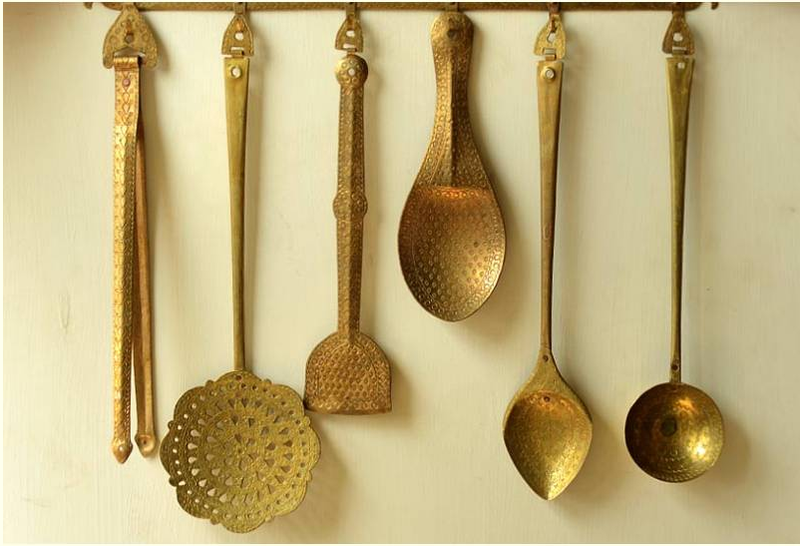 Good Earth just opened the doors to its enigmatic flasgship store in Saket, New Delhi. The products lend it the same air of familiarity, but the subtle yet mammoth design differences take you into a new space altogether. Designed by the immensely talented Lotus Design (Mehrangarh museum shop, Levi’s Rivet, Xylys, Khaja Chowk…), it’s dazzling, and definitely worth stopping by. 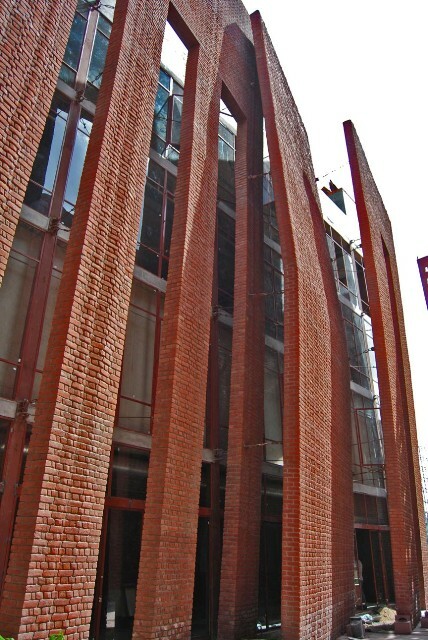 Brick screen flanking wall of the South Asian Human Rights Documentation Centre, a Delhi based NGO. I first saw her poring over sketches and doodles and drawings and a half-finished series of Cats on Chairs. She was so childlike in her enthusiasm, in her curiosity for feedback. Her art, much like her, is simple, genuine and rooted. 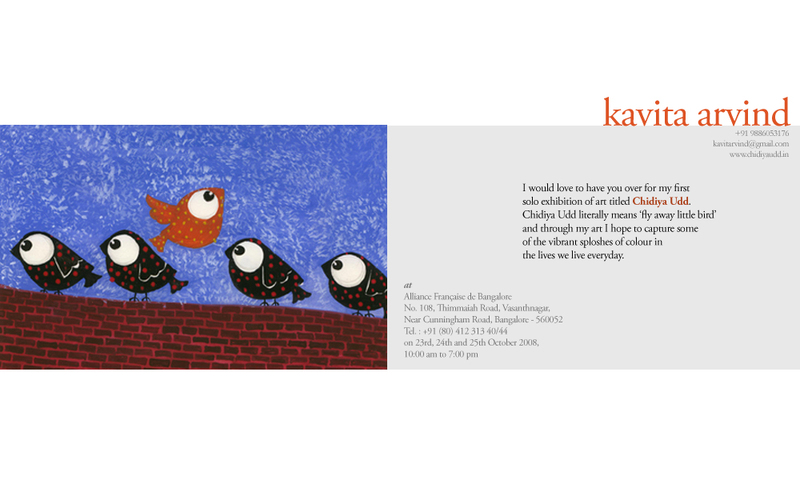 In conversation with Kavita Arvind, artist, NID faculty and founder of Chidiya Udd. She creates art ranging from childrens’ literature, gender and social communication to commissioned works for individuals, NGO’s and other organizations. 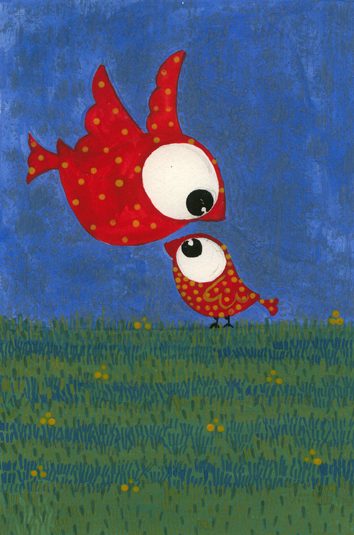 Birds, Poster colours on paper. 8" by 5.5"
Atmosphere, owned by Himatsingka Seide, is probably India’s first luxury home furnishing fabrics store chain.With over 2000 styles of fabrics in every store, the striking ensemble is well suited for home and commercial decor. On the list of the coolest companies in India (Business Today, Sep 2005), Happily Unmarried started as a one stop shop for people living on their own, providing services like accommodation, furniture on hire, rugs, curtains, kitchen essentials, but later shut everything else down and focussed on creating quirky Indian products. The creators have a whacky sense of humour and their packaging makes for a good read. 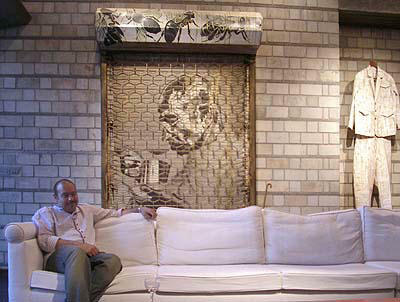 Rajiv Majumdar’s 450 sq ft apartment had just enough space for his 6 foot 4 frame, his guitars, books and speakers. Though it did have its plus points. Enough light from a long balcony and enough freedom to break down all the walls as the flat belonged to his mother. The first thing he did was break a few walls – the kitchen, the balcony, the bathroom and the bedroom. Then set up a fully equipped kitchenette with a sliding mirror door that shut when not in use, which is almost always (I did suggest he dismantle it and set up a phone, for takeaway). Supported by a vast database of landscape techniques and plant material, Aniket Bhagwat’s firm handles residential, industrial, recreation, urban, institutional landscapes, and ecological redevelopment projects. Andaman; Currently designing a twenty two-room boutique hotel on the sea, on a land measuring 10.5 acres, which is covered with Areca nut trees and coconuts. The site is undulating, and has a stream that runs through it. Work involved: Site planning, Architecture, Interior Design and Landscape Design. 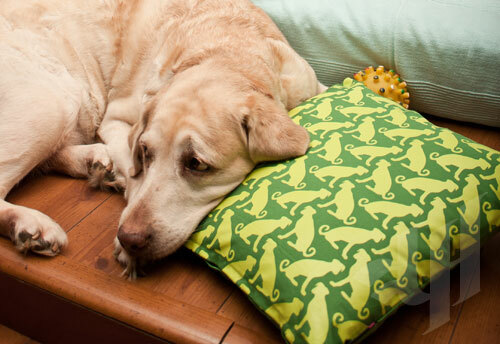 Loose Ends, located in Bandra, Mumbai, is a quirky garage store that retails home accessories and clothes and oddities. Tara is run by a collective of writers based in Chennai, India. They work with a range of adventurous writers and artists from around the world, and create books in house as well. I loved their Indian sensibility and their aesthetics. Beautiful.